Well, this was a pleasant surprise. We were cottaging in Honey Harbour for the week and saw the Parks Canada office right across the street from the Town Center general store so, of course, I had to check it out. I had no idea that we were staying so close to a national park. I’d heard of Georgian Bay Islands National Park, but I wasn’t expecting to stumble into it during a cottage trip. 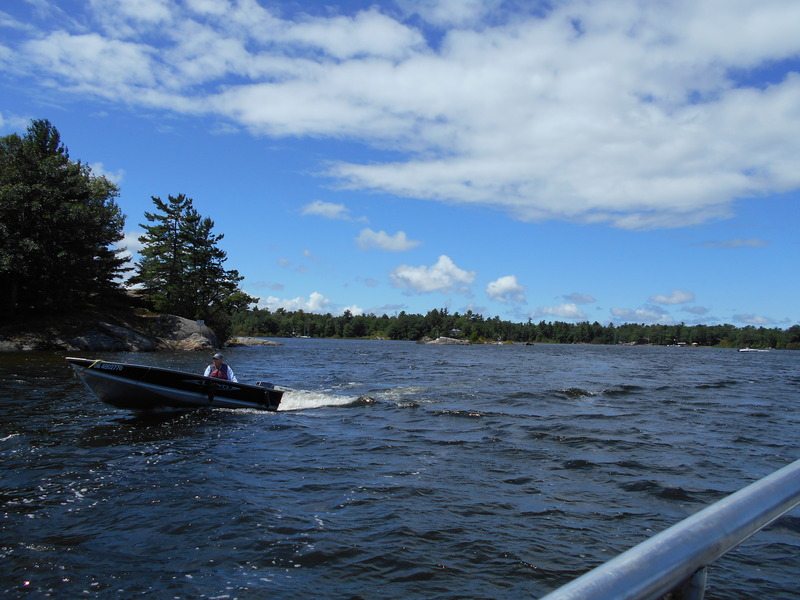 There is a small Parks Canada kiosk sitting at the boat launch and we got some info on the Daytripper boat ferry schedule and planned a quick trip. View from the Daytripper leaving Honey Harbour on the way to Georgian Bay Islands National Park. For $15/per person, the Daytripper will take you into the park and come back to get you 4 hours later. As mentioned in a previous post, my partner is pregnant, so this was a perfect amount of time for us although, at any other time, 4 hours would feel like a mere “amuse-bouche”. Because of its popularity, the boat is often full, so reservations are highly recommended. You have your choice of several “ports of call” around the island, and we visited the central landing point of Cedar Spring. 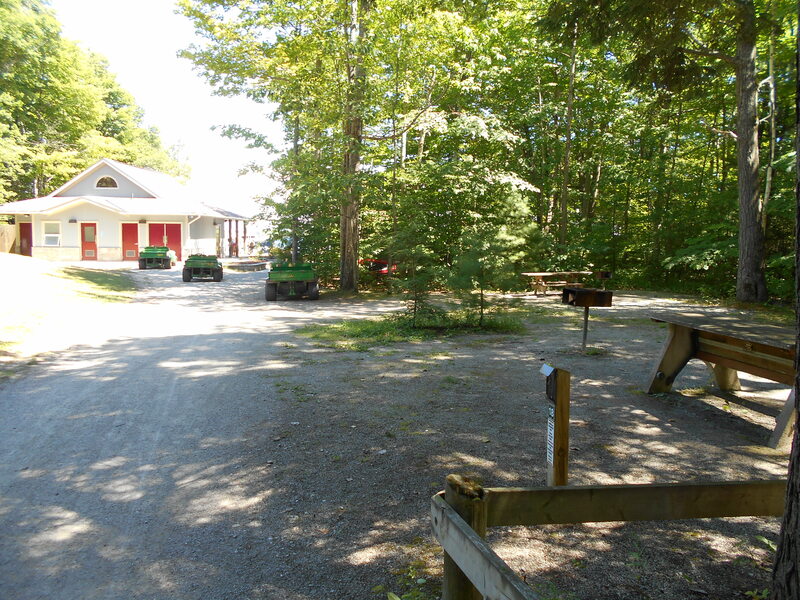 Here, you will find the Head Office and main campground. 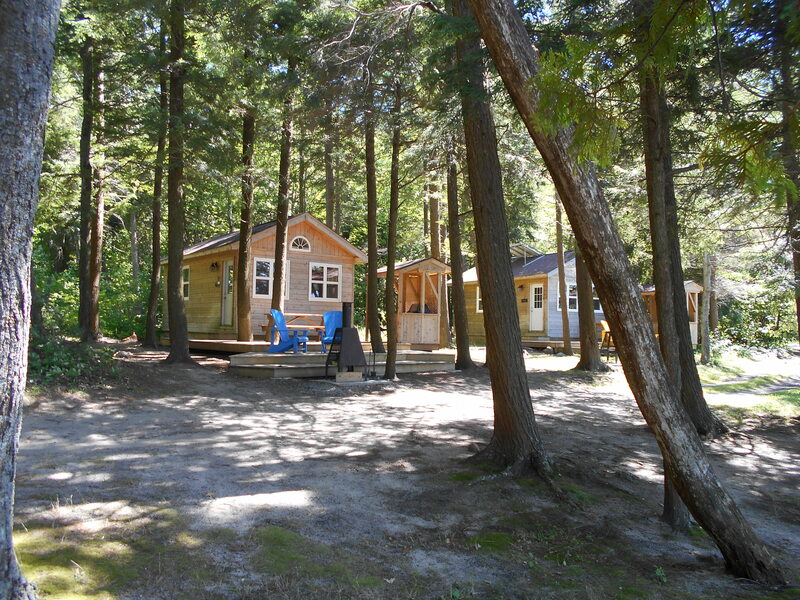 There are a few cabins for rent (about $150/night, 2 night minimum) and tent camping sites. The view from a tent site just behind the main office. A bit too close for my comfort, but still… it’s well maintained and very close to the toilets if you have little ones. 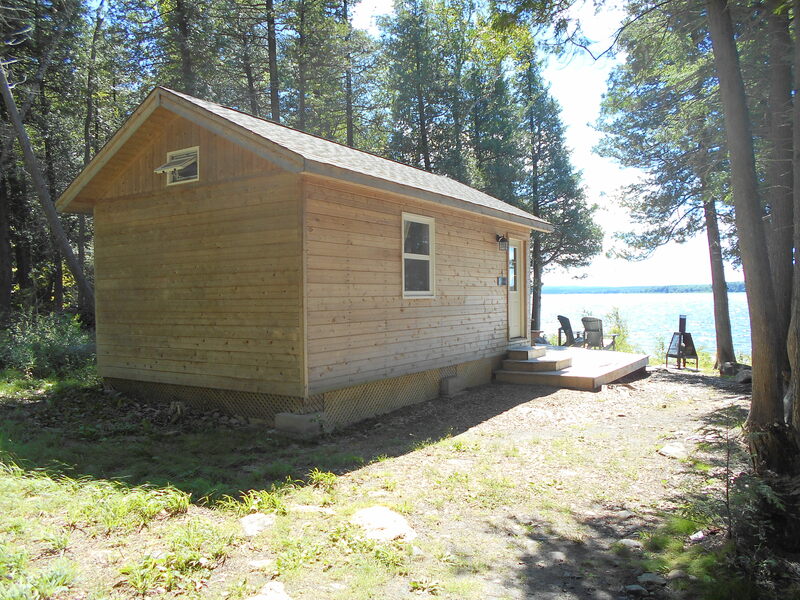 Upon reaching the dock at Cedar Spring, you walk along the boardwalk to get to the main office. 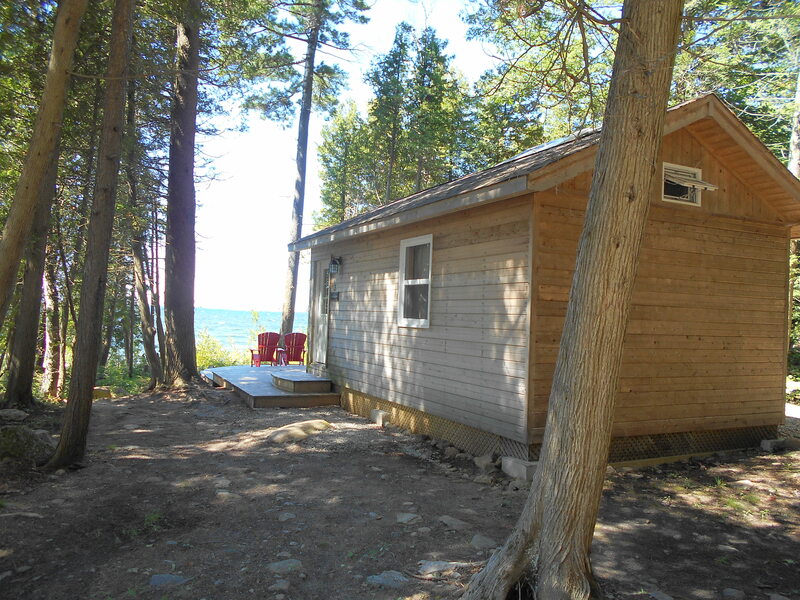 Along the way, you’ll pass by a few of the cabins, which are interspersed with tent sites. Personally, I recommend the sites elsewhere on the island since these cabins would have *a lot* of foot traffic passing in front of them all day long. If you choose to camp at Cedar Spring, be forewarned that you’ll have every boat load of the Daytripper walking right in front of you from 9:00 am – 5:30 pm. If you don’t care about that and want the convenience of a short walk with your bags, then… this is the place for you. The start of the “Lookout Trail”. 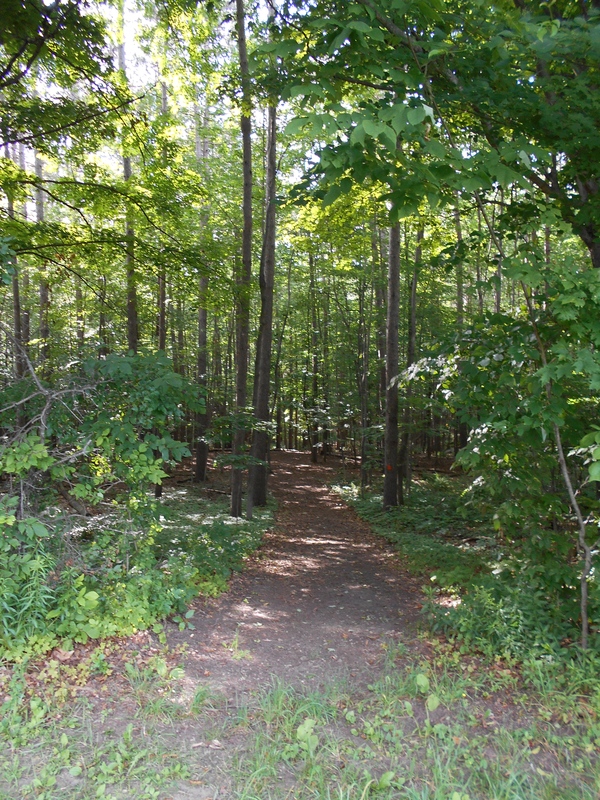 Just behind the main office, you’ll find the trail junction where you can head off in a few directions. 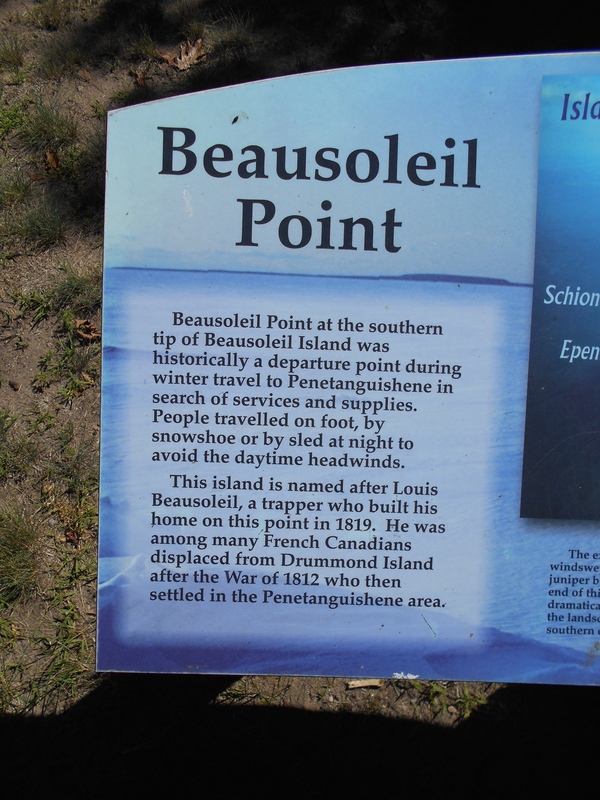 We chose to take the loop of the southern part of the island, over to Christian Beach, down to Beausoleil Point and back up to Cedar Spring. The park map isn’t great at offering info on the real distances, but I can tell you now, we ended up hiking for about 12 kms. Suffice it to say, I’m very impressed with the mother of my child! In my mind, a pregnant woman is the strongest creature in the world. 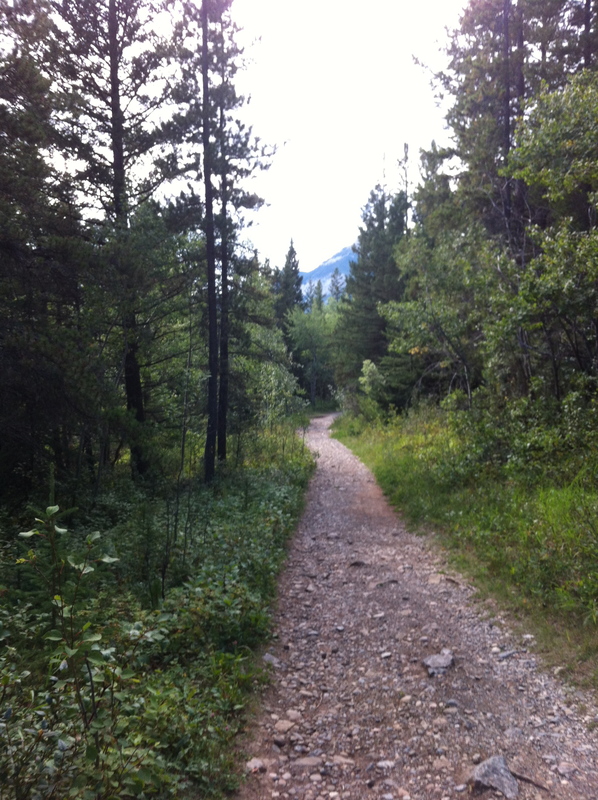 The trail is relatively flat, so it wasn’t that challenging. It was a bit longer than we expected, but it was worth it! Beautiful scenery. 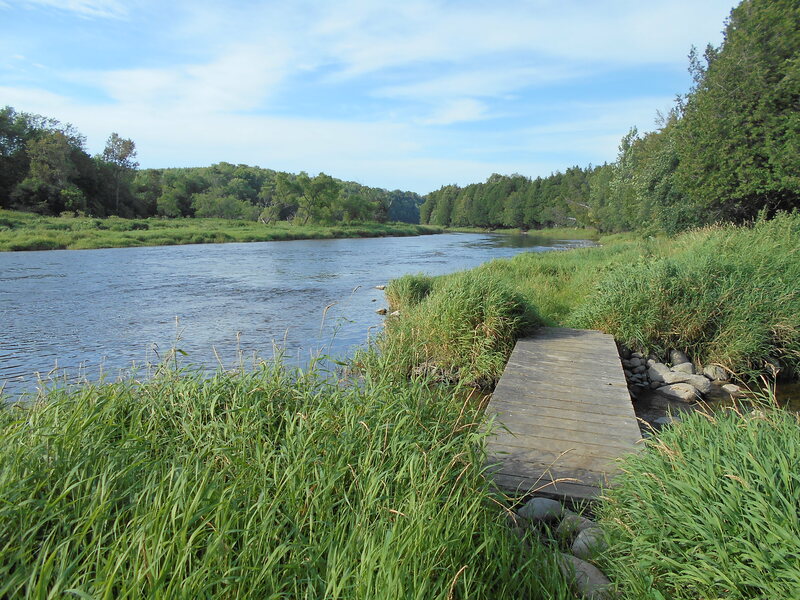 The bugs got to be a bit much on the final stretch coming back up to Cedar Spring from Beausoleil Point, so stick to the outskirts of the park in warm weather if you want to avoid them. FYI, the “lookout” on the Lookout Trail, is no longer a lookout now that the trees have matured. 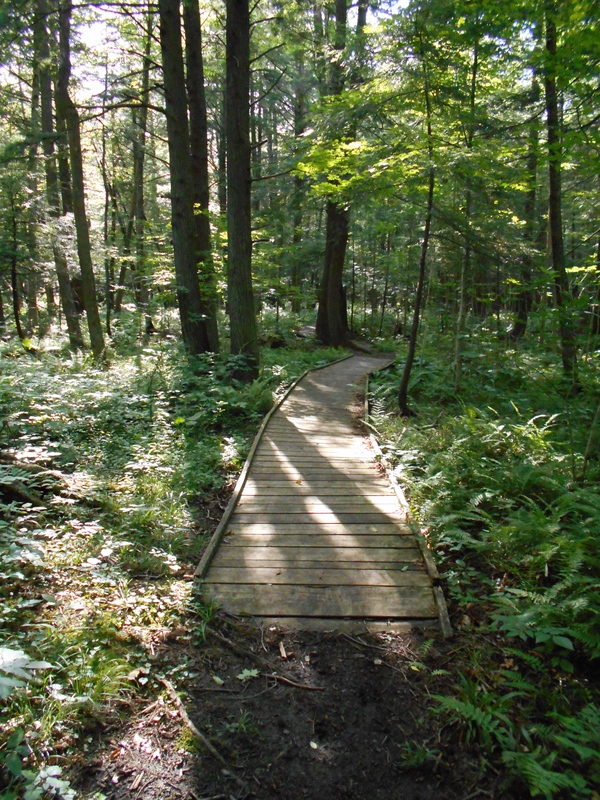 There’s still a wooden landing, but you’ll be staring into the forest. It’s a good connector trail to Christian Beach. View from the Lookout Trail along the way to Christian Beach. Christian Beach on the west side of the island. An island just off the coast of the park. 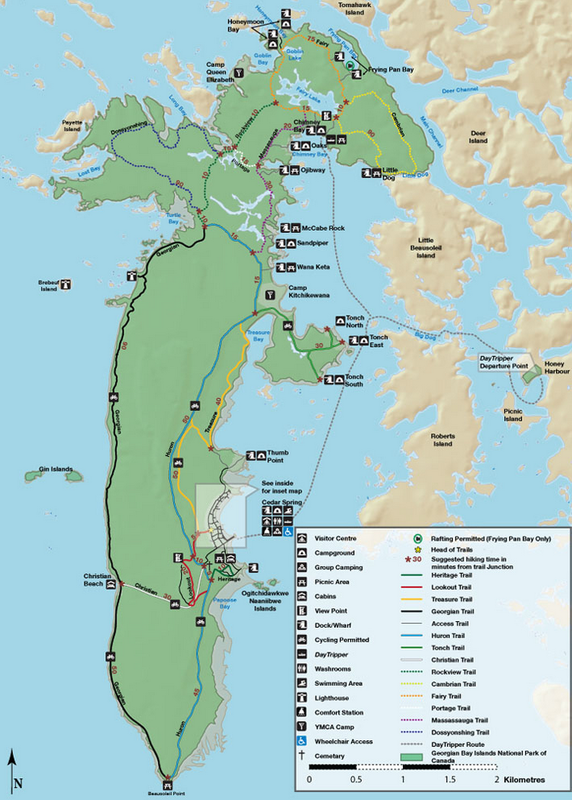 There are a few cabins for rent on Christian Beach, and while they are still along the trail (meaning: you’ll see some foot traffic passing in front of you), it’s a more remote part of the island and therefore, more secluded. These cabins look quite new and well maintained. Each has a nice veranda. As I understand it, you have to arrange your own transportation there. I heard that water taxis cost about $60 each way. 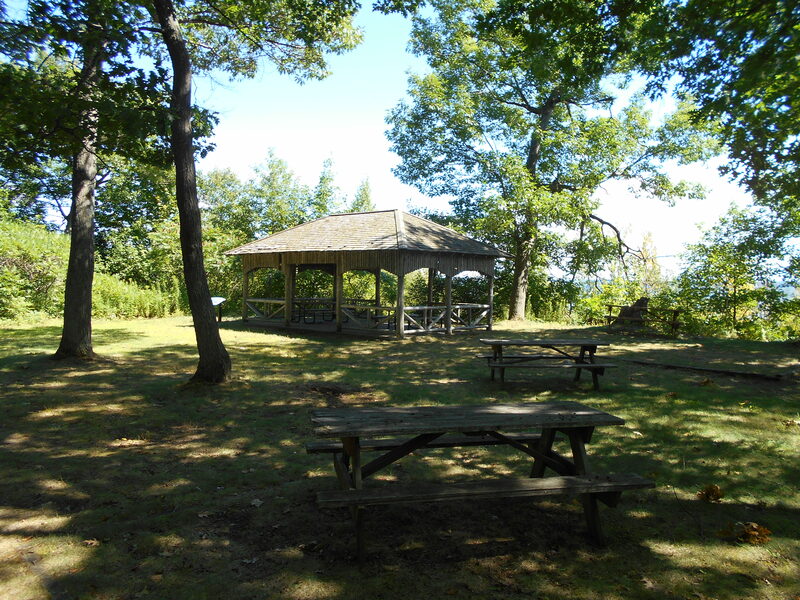 Beausoleil Point is a nice wide spot with a gazebo, several picnic tables, BBQ stands and a porta-potty. 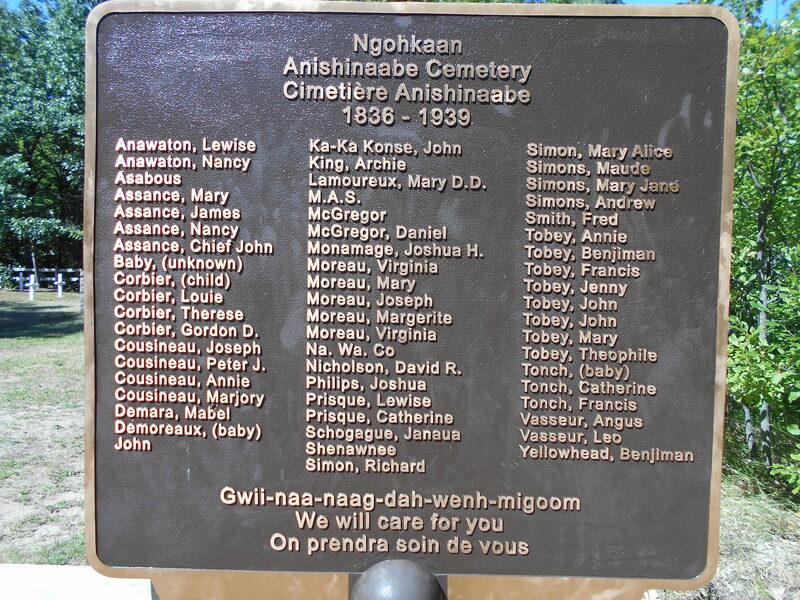 As you get back up towards Cedar Spring, you can take the Heritage Trail, a side trail that passes by a First Nations (Anishnaabe) cemetary and the site of a former settlement. One feature is a lovely flag stone walkway. 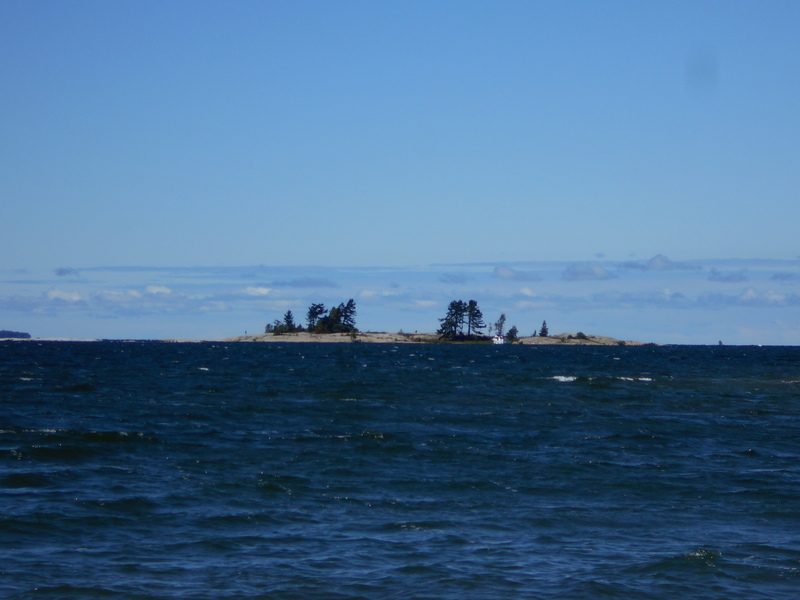 Georgian Bay Islands National Park is a fantastic park. I really can’t wait to get back here to explore the rest of the island and spend a few nights. One of the crown jewels of our park system, for sure. I gave myself the moniker “Canadian Parkhound” for a reason: I search for parks. 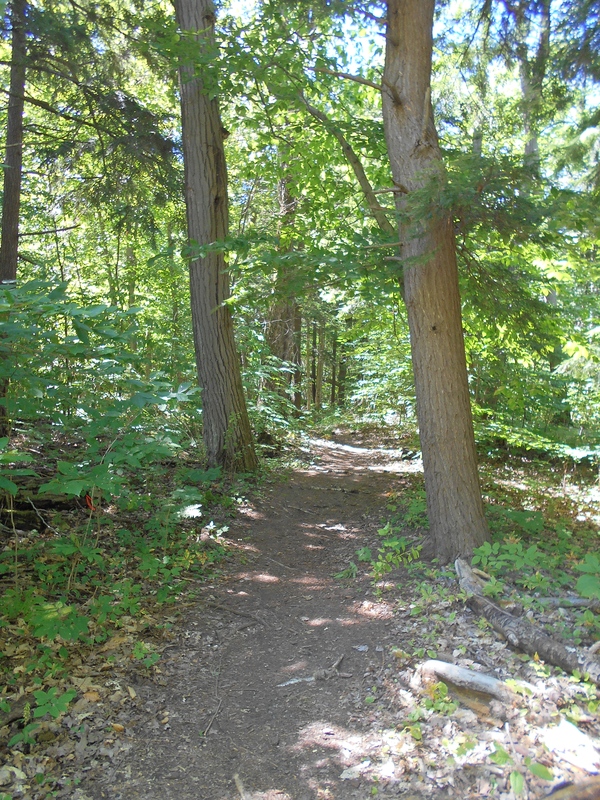 It began while living in Toronto and my desire to find trails that were fun to hike (meaning: beautiful and hopefully a bit challenging) as well as private and secluded. 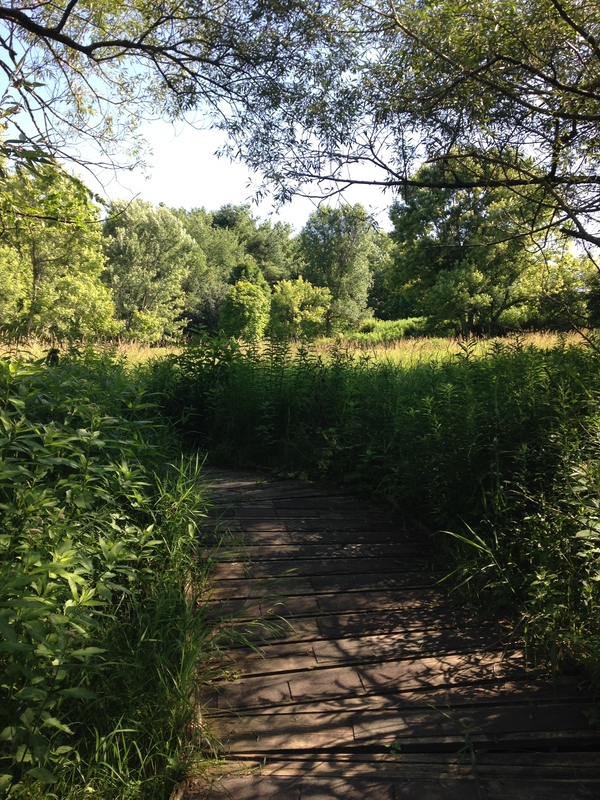 It’s pretty much impossible to find a hiking trail in the big city that could be classified as private or secluded. 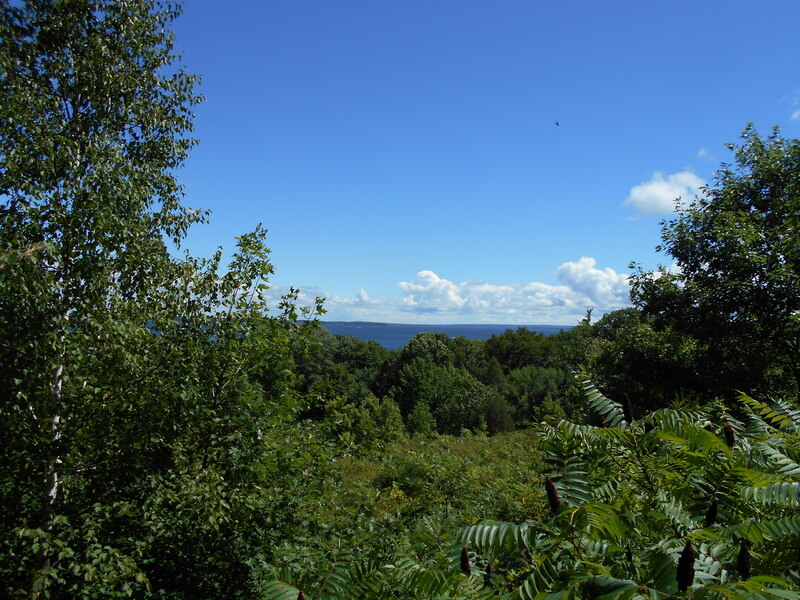 So, I began to explore the Caledon region and the Bruce Trail when and where possible. 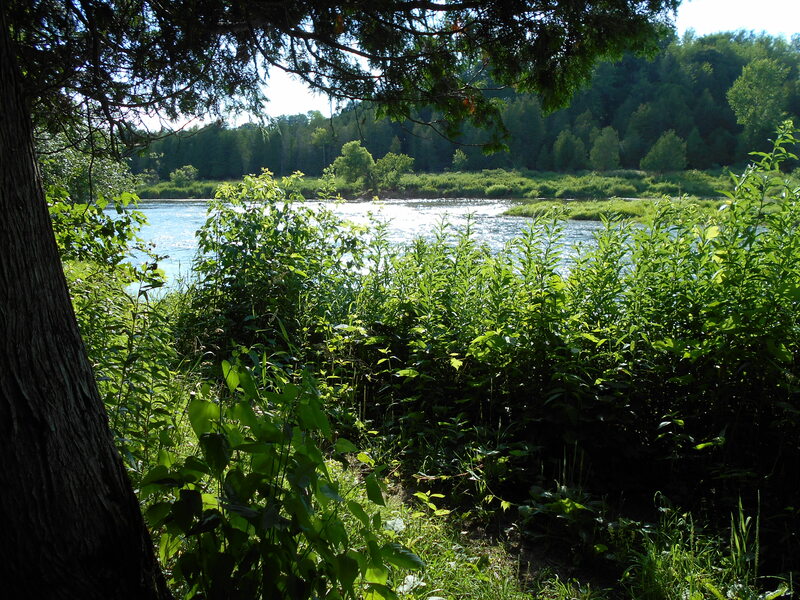 Of course, I love the big National and Provincial Parks, but I’ll take a good conservation area any day. 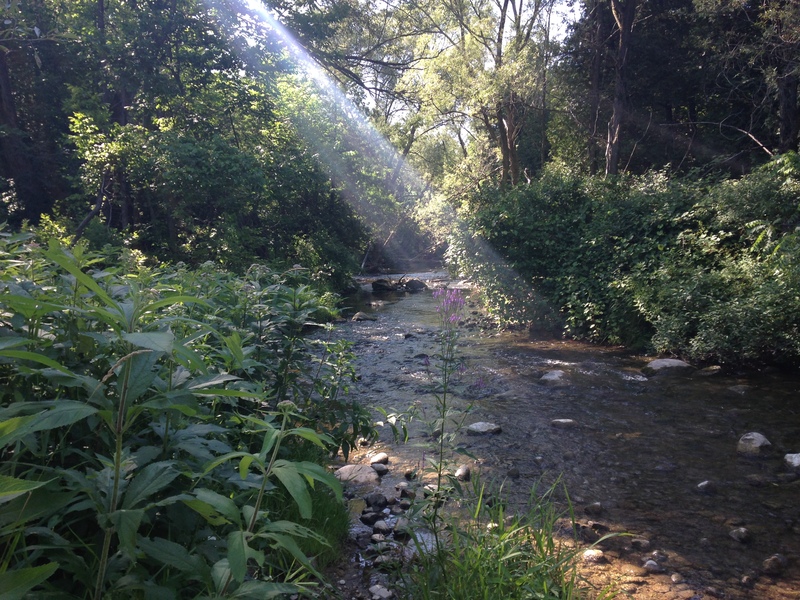 Forks of the Credit is a nice hike, but it’s pretty busy. 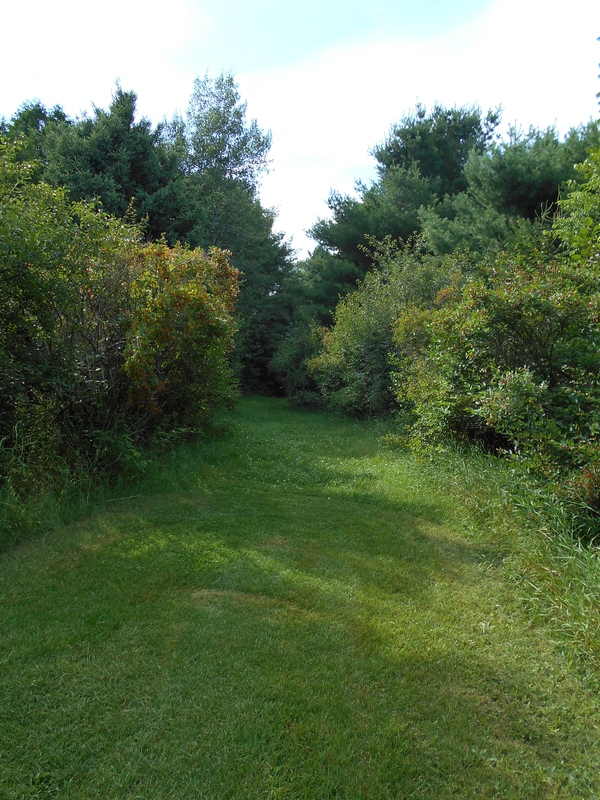 Whenever I’m driving through a new area, I’m always on the lookout for a local trail. No park is too big or too small for me. This summer, I’m working at the Blyth Festival in Blyth Ontario (come see “Seeds” or “Fury”, folks! You’ll see the Canadian Parkhound in action on stage!). 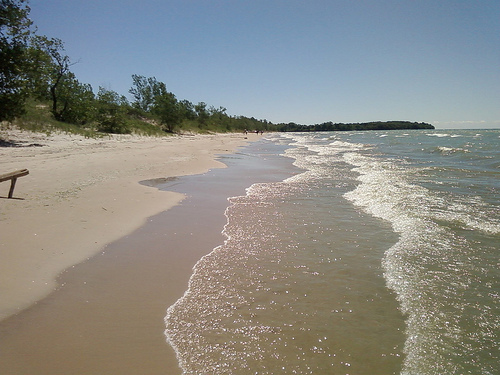 When I’m here, I live in the small town of Auburn, just 10 minutes west of Blyth towards Lake Huron. 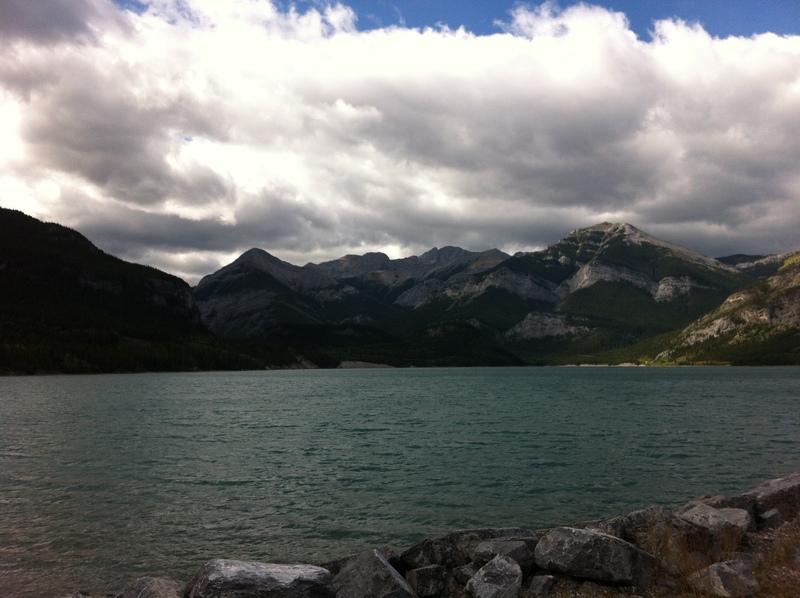 This area is peppered with Provincial Parks (i.e. – The Pinery, Point Farms) and they’re quite lovely. There are also a few Conservation Areas around here (Falls Reserve) and Wawanosh is just up the Donnybrook Line, about 10 minutes north of my place. There is something about a conservation area that I just love. Usually, they’re quite small and can often be found in unexpected places. As such, these parks are not heavily traveled. 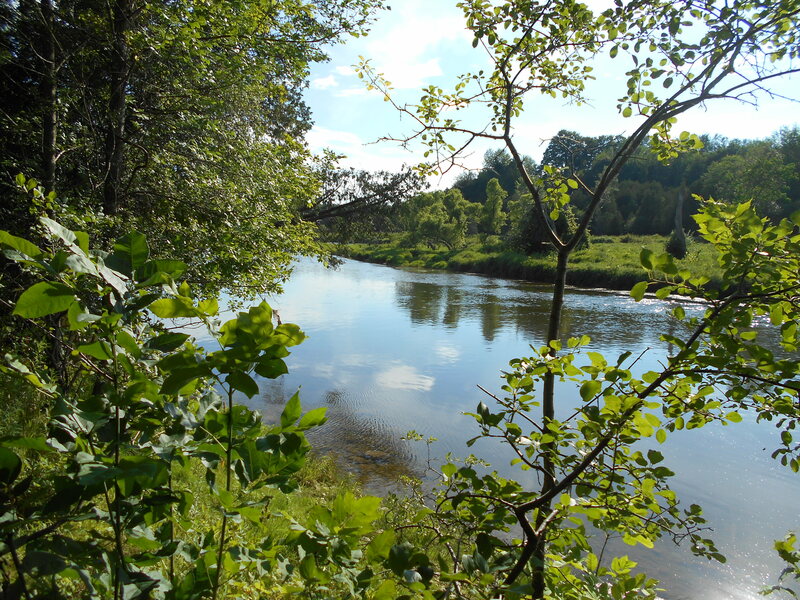 Wawanosh Valley Conservation Area is a well-kept, forested area situated along the Maitland River. 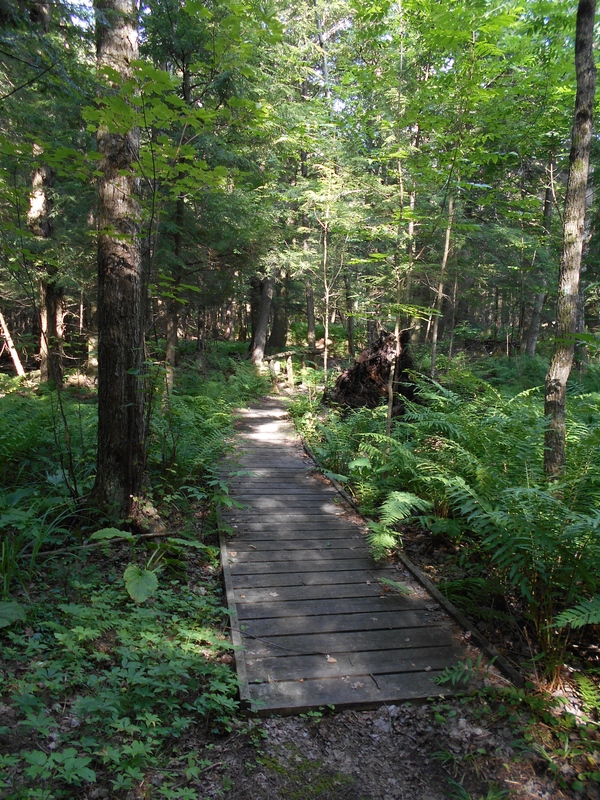 There is a simple trail system consisting of a large loop that has a few secondary trails that will take you through different parts of the forest with a nice section that follows along the river. I’ve been here at least a dozen times over the past two years and I have never seen another soul (save, of course, for birds and two deer). Aside from myself, I think that the only other folks who show up here in the summer are the maintenance crew. It’s obviously a great educational center, so I imagine that there is more traffic here during the school year. It’s a perfect place for a quiet hike by yourself. Taking the large loop, you can circumnavigate the entire area, or you can cut through the forest at a few different points. The forest is beautiful and will take you through a variety of tree stands. The scenery is quite diverse. 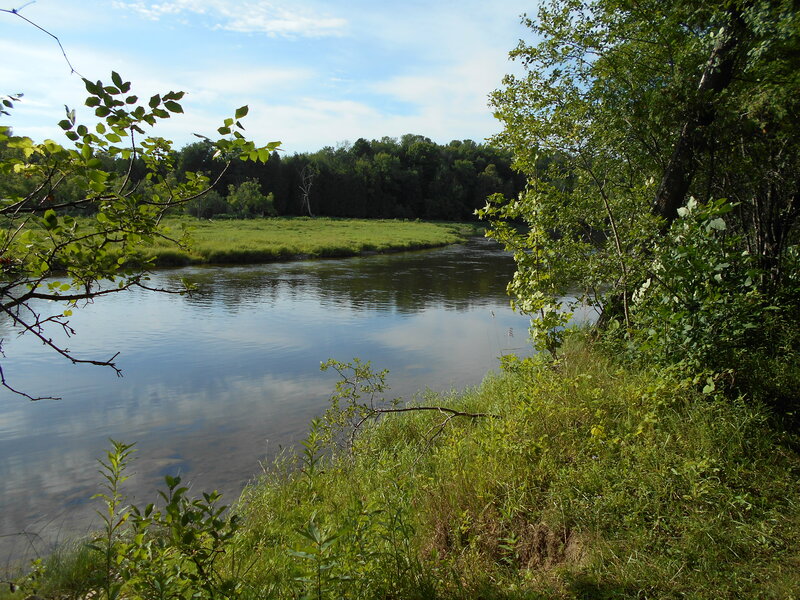 Ultimately, the trail will bring alongside the Maitland River. A gorgeous and pristine area. 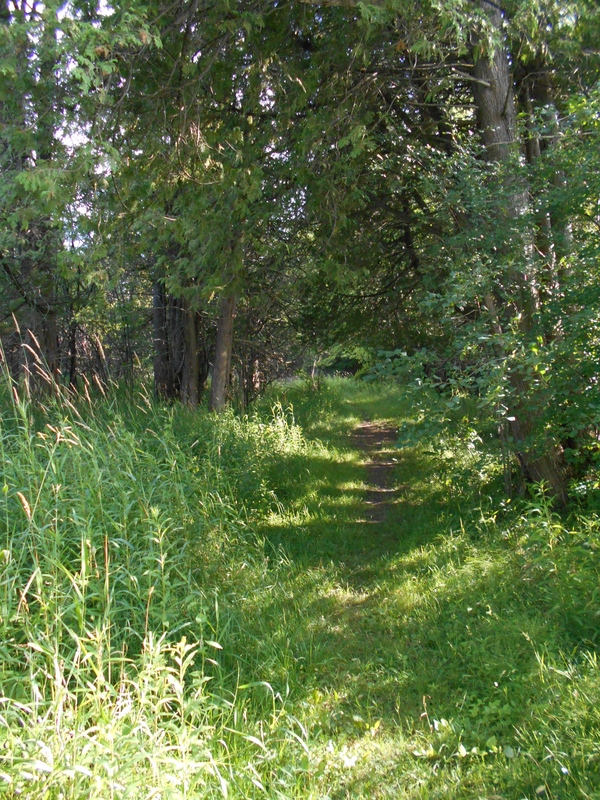 There is a camping area available, but the access to that portion of the park is further north along the Donnybrook Line by a few kilometres. I’ve driven through it and, at the time, there were about 8-10 trailers there that looked like they were seasonal guests. It’s small and cute, but you kind of get the feeling that you’d be moving into a small village that already exists. I’m sure you’d feel welcome there, but you’d definitely be in the company of others if you chose to stay there. If you want to have some privacy, you might be better off at Falls Reserve or Point Farms. 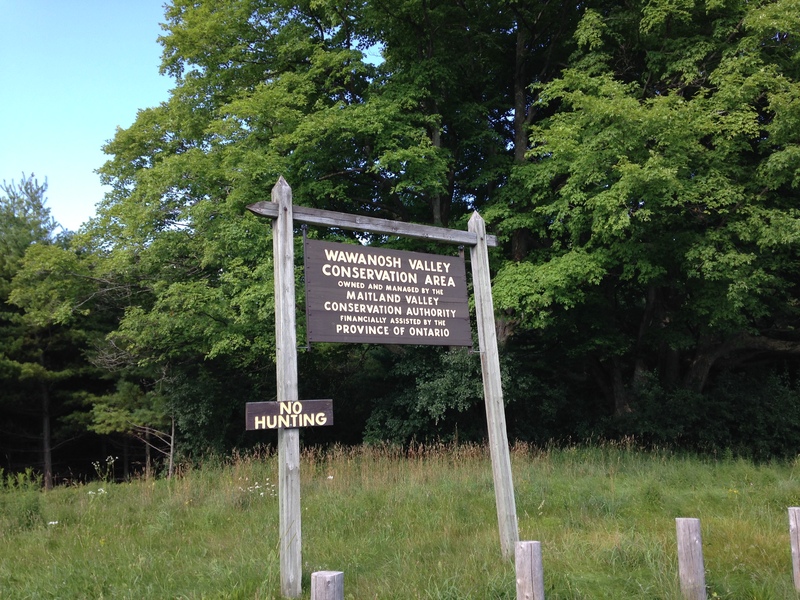 Wawanosh is in the heart of Huron County farmland. I think that it’s really only known by locals, and if you want a place for a nice hike, picnic, and a short visit, make sure to take the time to visit Wawanosh. Degree of difficulty: Easy. I’ve managed to eke out about 90 minutes of hiking by exploring the various side trails and have done the large loop in about 35 minutes while power-hiking. I usually hike with my large backpack on. I do this to add resistance. It’s my “gym membership” as it were. It adds about 50 pounds and doubles as training for when I actually get out into the backwoods and helps my body to not be shocked when I hike with that amount of weight on my back. If you’re just going out for a leisurely stroll, you could probably spend the better part of two hours on these trails and also speed out of there quickly if you needed to. Next up: Falls Reserve and Point Farms reviews! Editor’s note: unfortunately, we lost our pictures of this trip. 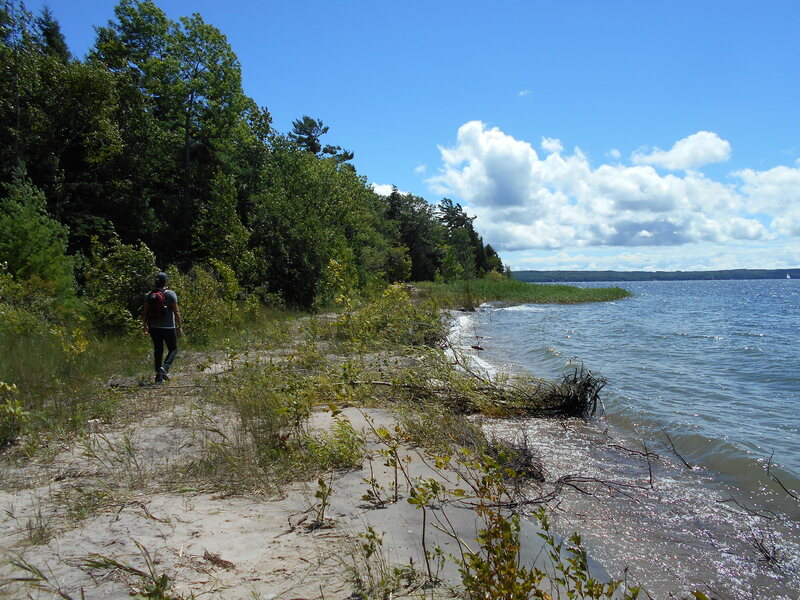 The photos used in this blog post are taken from a Google images search of “Sandbanks Provincial Park”. Some weekends, you just need to get out of the city. For us, ‘some weekends’ = ‘many weekends’. However, it isn’t always feasible to put life on hold to the extent that is required for a backwoods experience in a place like Algonquin and, depending on the season, it isn’t always worth it (read: bugs). 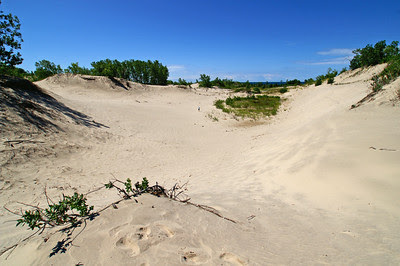 Sandbanks Provincial Park is the perfect park for getting to a beautiful beach with warm, clean water. Sure, the park is usually crowded, but it’s still the best Provincial Park getaway in Southern Ontario within decent driving distance of the GTA. Even though it was September and a week after Labour Day, the park was pretty full. 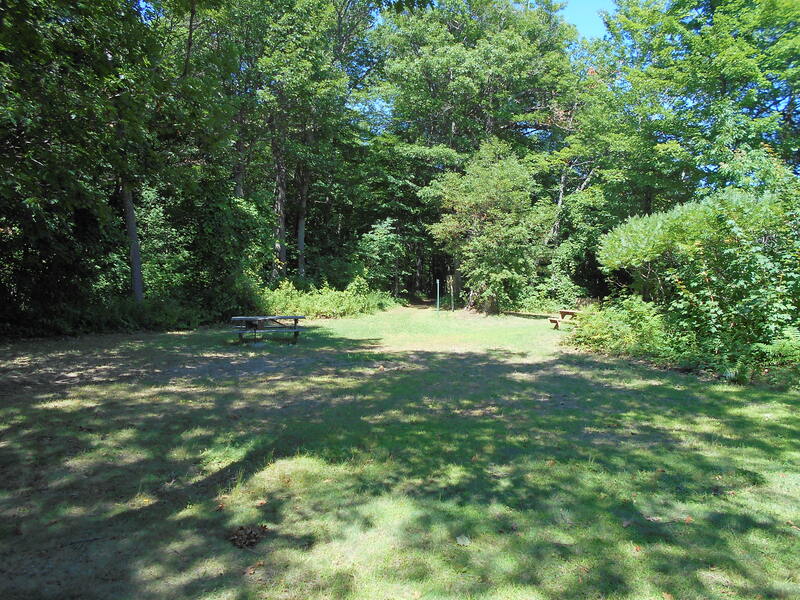 We drove around the campground and were able to snag a good campsite that was private. It was set in from the road and had good tree coverage. 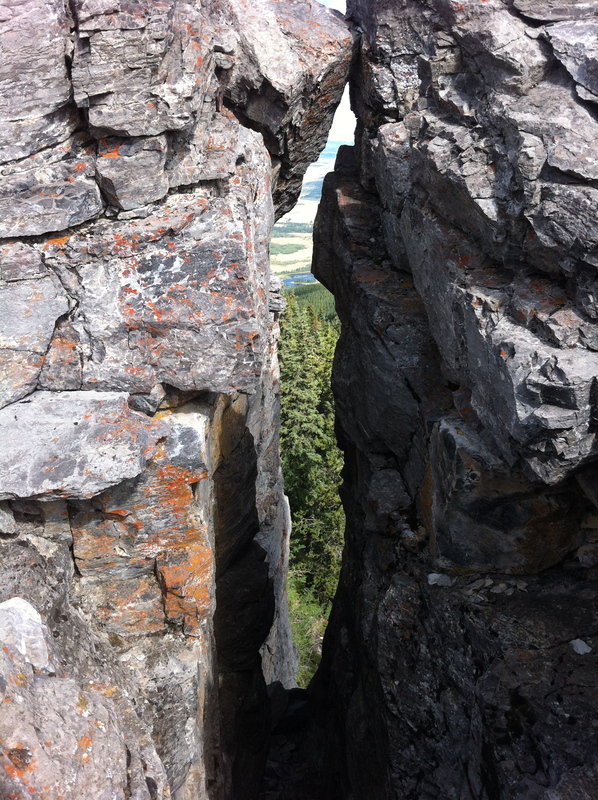 Many of the sites in the loops are completely exposed and better for families or large groups. Every single site that abutted the beach was taken, primarily by truck campers and trailers. Generally speaking, I’m not a huge fan of “car camping”. With the exception of our “Gaspé to New Brunswick” week long journey, we avoid car camping in favour of getting into the woods. 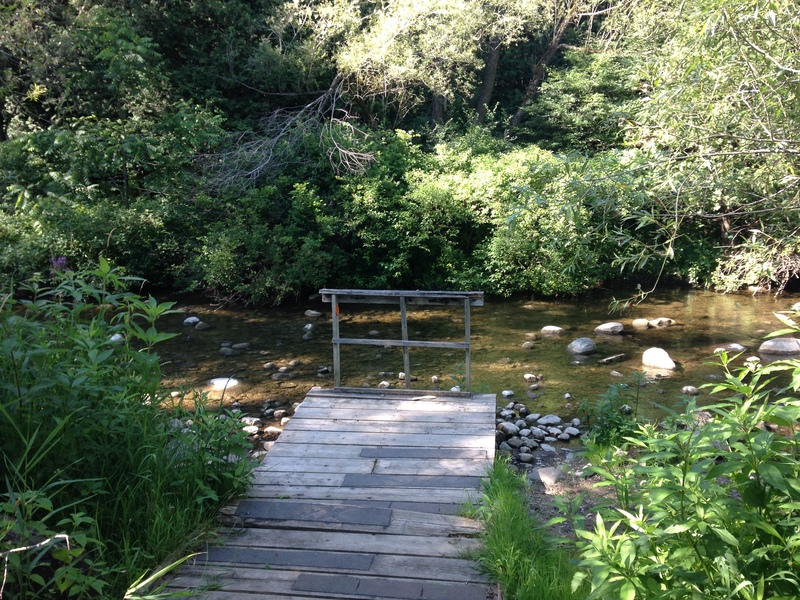 That said, my girlfriend and I have been on the hunt for the best swimming hole within a few hours of Toronto. So far, Sandbanks is the only park where we’re willing to brave the crowds and noise to spend an evening. As soon as we set up our site, we went and lounged on the Dunes Beach at West Lake and swam until dinner time. Considering how busy the park was, we were happy to see that the beach wasn’t totally packed. The water here is warm and clean. It’s quite shallow for the first few hundred meters, making it very family friendly and ideal for frisbee-throwing. After dinner, we headed for a sunset drive around the park and checked out the beach that is directly on Lake Ontario. 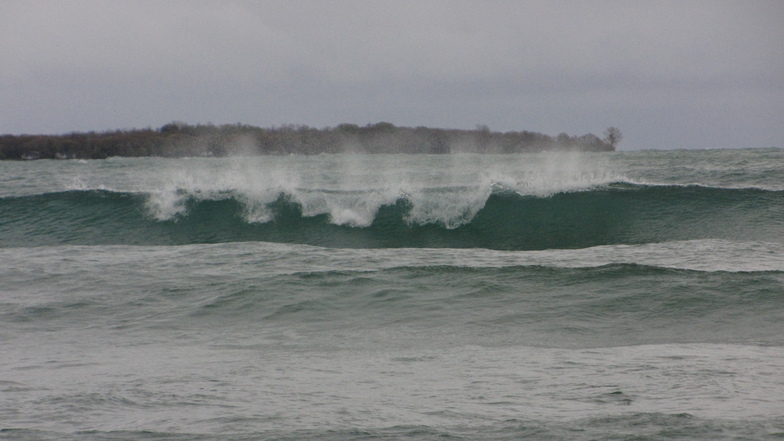 The water here is more rough, not being protected by land the same way that West Lake is. Still gorgeous and great for strong swimmers. 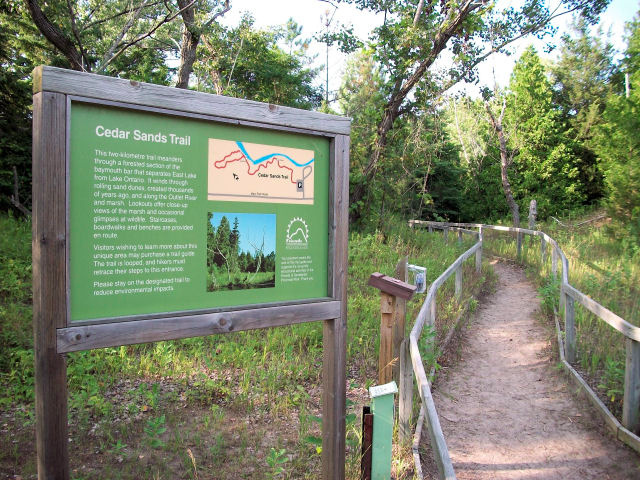 The next day, we packed up our site and headed for the easy hike along the Cedar Sands Trail. 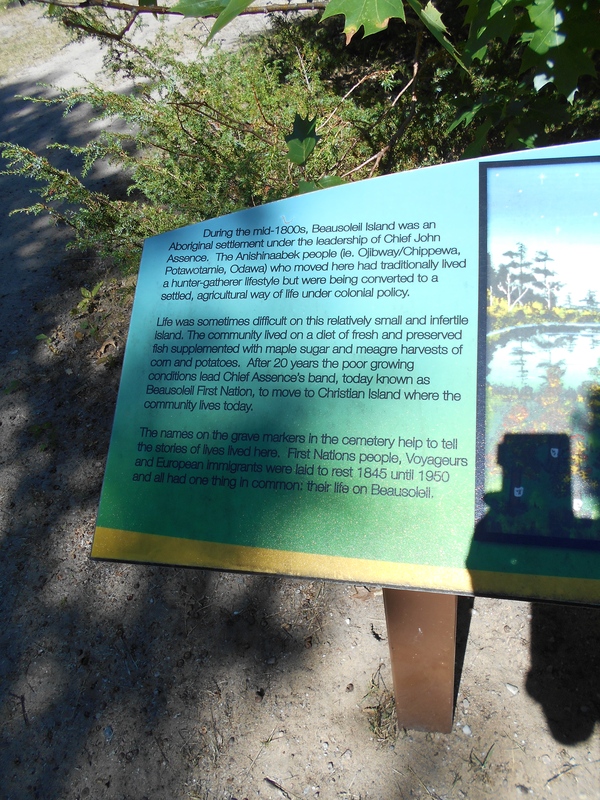 There are many interpretive signs along the way describing the habitat and history of the Sandbanks. We had a good dose of the beach and, as the clouds started to roll in, my girlfriend went into Lake Ontario for one more wrestle with the waves. If you’re looking for a great, quick getaway – this is it. Look no further. 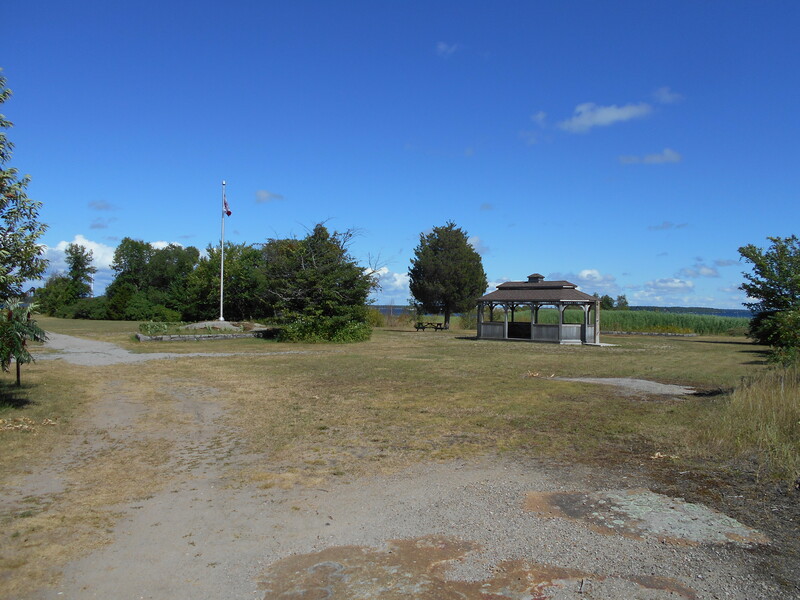 The only park (in my estimation), that comes close would be, Long Point Provincial Park (similar beach, although the water is better in Sandbanks). Having lived in Nova Scotia for a few years, I’ve become well-acquainted with the drive through New Brunswick. NB is often referred to as the “pass through” province on account of the long, long stretches of the Trans-Canada highway and trees. Don’t get me wrong – I love New Brunswick, but driving through the interior isn’t the most dynamic, scenery-wise. 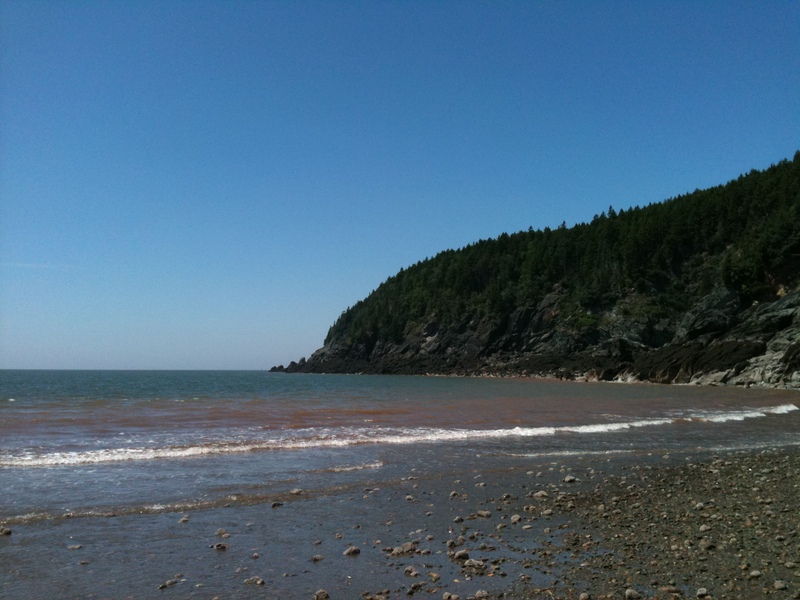 I had been to Fundy National Park the year before and drove down through the north end of the park, coming from Fredericton. 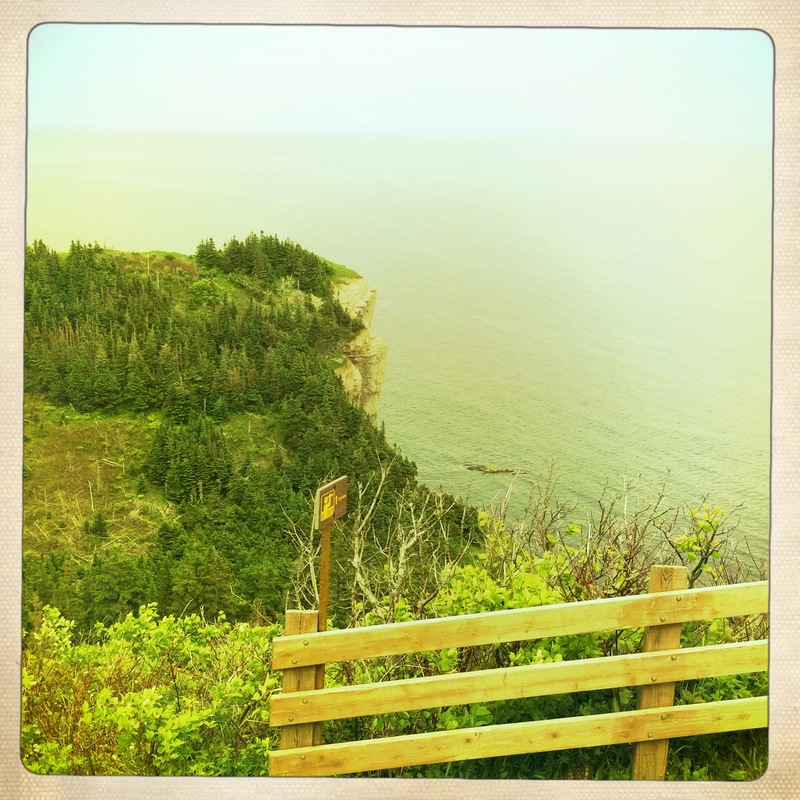 This time, we came south through Moncton, following the river and then taking the more scenic Fundy view trail. 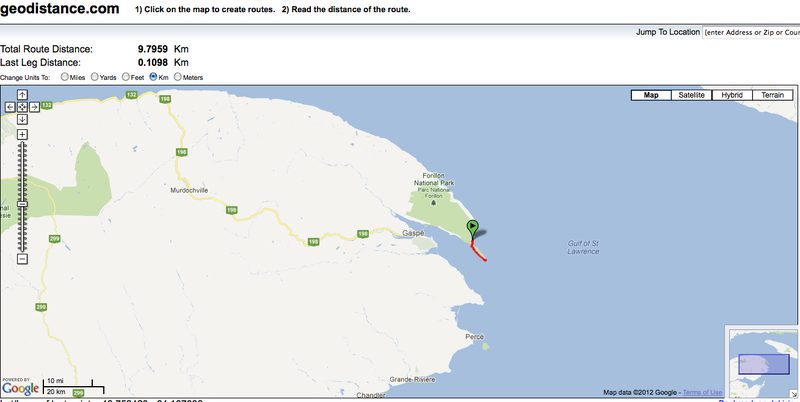 If you can approach the park through the south-east at Alma, give that a try. It’s a beautiful drive. At this point in our week-long trip, we were damp (and getting weary of it) and looking at another day of the same. The drive was mostly overcast with a few sunny breaks, but the forecast called for rain. Pitching a wet tent in the rain wasn’t in the cards, this much we were sure of. We made a deal with ourselves at the outset to get a motel room whenever we felt that we needed it. 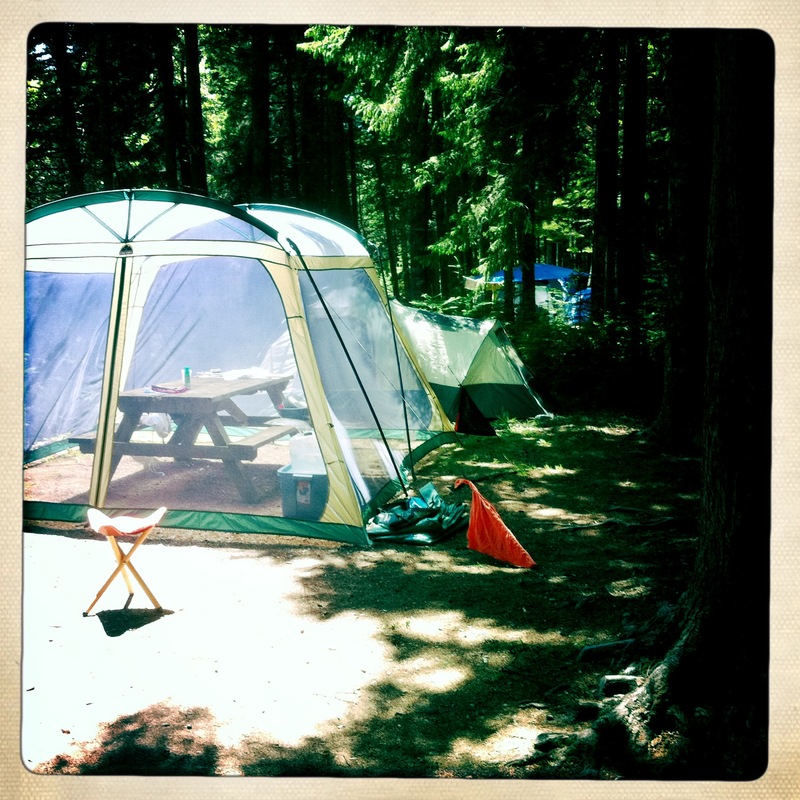 Considering that a car camping “front country” tent pad (without electrical) in a Canada park only costs $25 – $50 less than a cheap motel room (depending on location and season), it has never been difficult to opt out of tenting in miserable conditions. The objective is to have fun, oui? We stopped in the town of Alma, just outside of the Park gate and found a room at The Alpine Motor Inn for about $100. It’s a pricey little town, but there aren’t many options outside of the park or a local B&B. 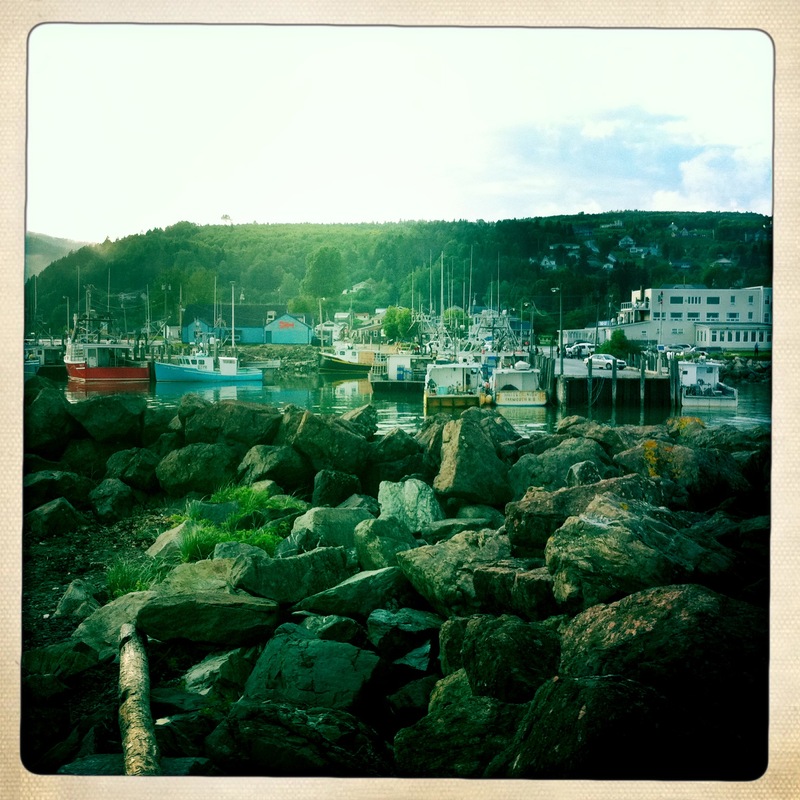 Alma is known as a fishing village where you can see the boats sitting on the floor of the Bay of Fundy due to the highest tides in the world. There is a diner across the street from The Alpine Motor Inn that serves a decent breakfast. We woke up the next day to sunshine and got into the park in the late morning. 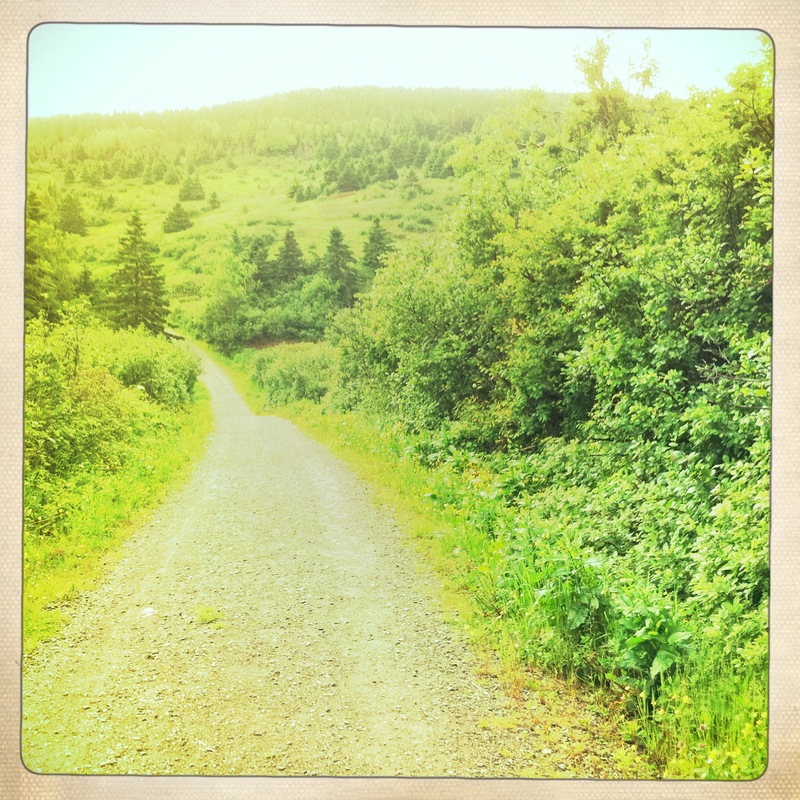 I had stayed at the Chignecto North campground the year previous. We chose a site at Point Wolfe this time that sat along a high ridge with a good view and fairly decent privacy. We were able to set up and start drying out in the mid-day sun. 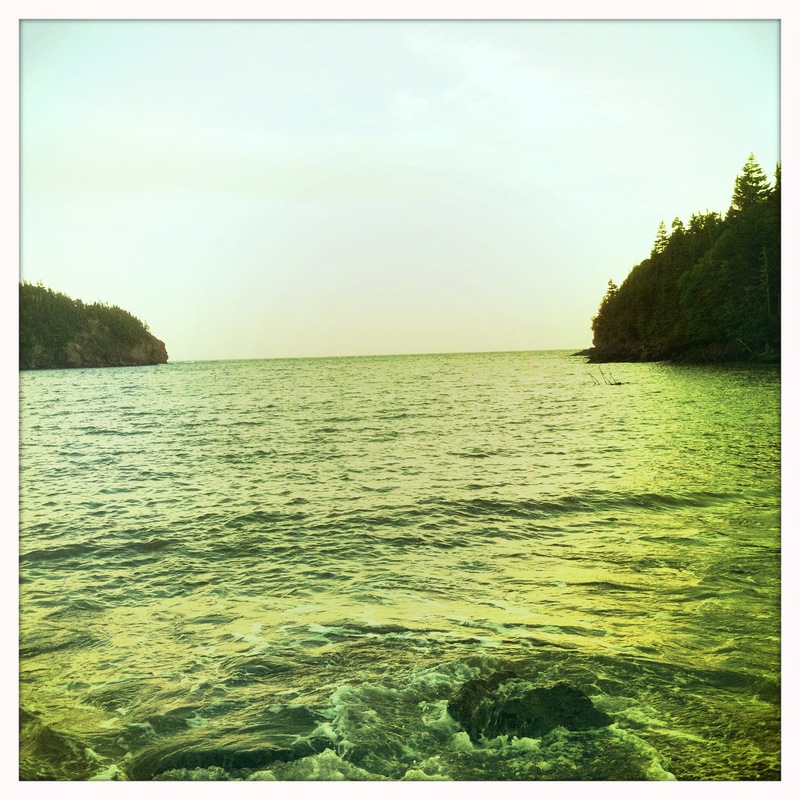 Point Wolfe Campsite in Fundy National Park. 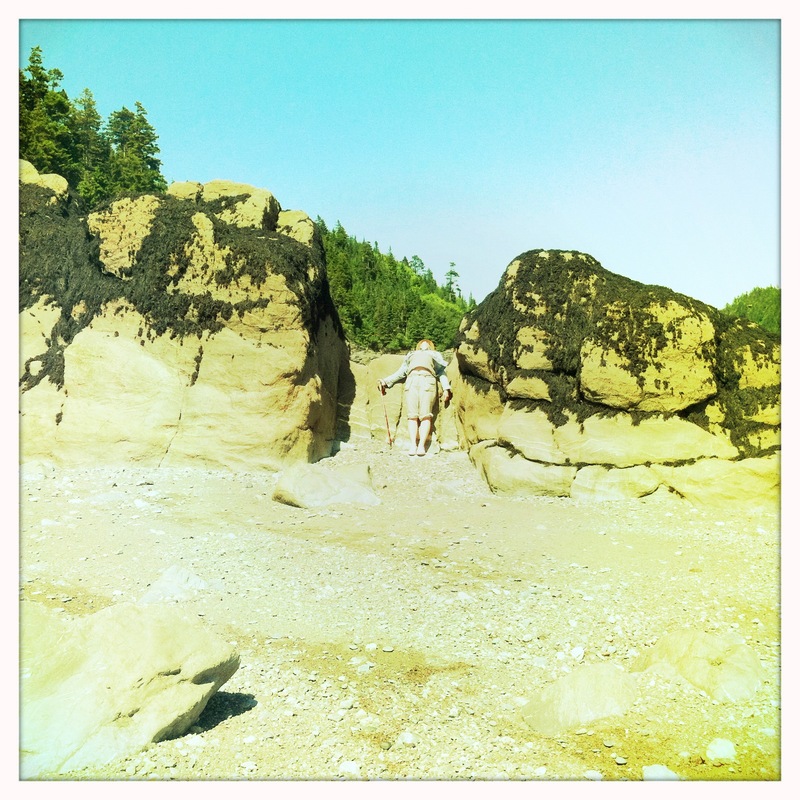 Once set up and bellies filled, we took a stroll down to Point Wolfe to see the tide while it was low. During my visit the year before, I had seen the tide while it was out, but missed seeing it while it was back in. I was familiar with the walk already and looking forward to doing it again. It’s nice to have a site right at Point Wolfe if you’re planning to see both high and low tides. The parking lot is busy with day trippers and campers from around the park, so it’s a treat to just walk from your own site. During low tide, you can expect a good 20 to 30 minute walk out to the low tide marker if it’s at its lowest. The terrain underfoot is mostly rocks with barnacles which can be slippery and sharp. Choose good footwear. Along the way to the water’s edge, you’ll pass by some very cool rock formations that spend half their time under salt water. If you plan to explore, be mindful of the timing of high tide. You don’t want to get caught! Point Wolfe beach at low tide. To access Point Wolfe, there is a large, wide and well-maintained staircase. Book-ending the short hike (90 mintues) in the hot sun, this natural Stairmaster got us hankering for a swim. 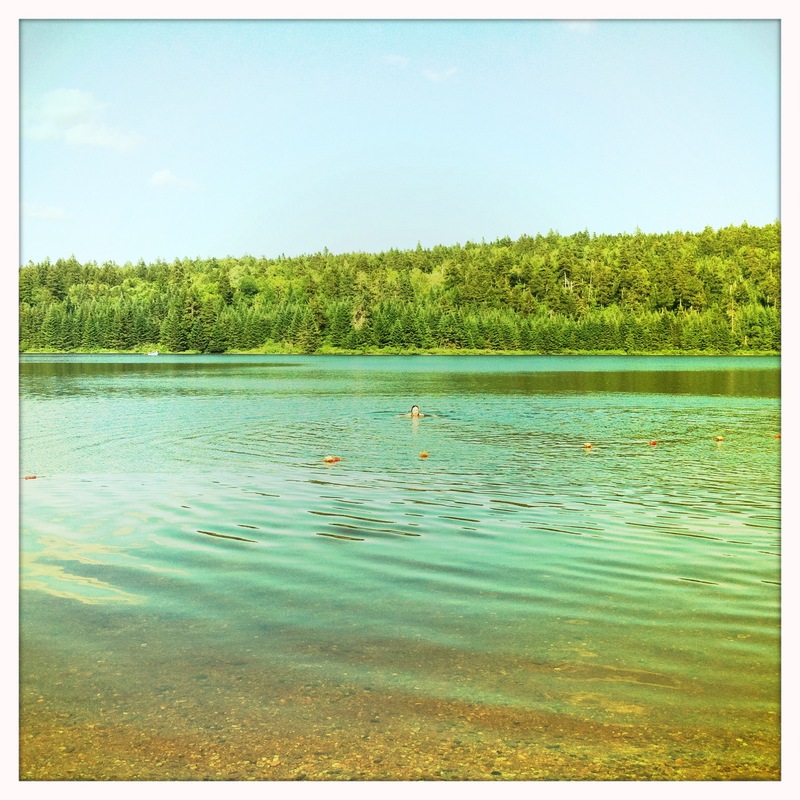 We drove up towards the north end of the park to have a picnic and a dip at Bennett Lake. This is a sweet spot for families and paddlers. It’s a small, calm lake with beautiful water. After a couple of hours spent lounging by the lake, we packed up and went back to the site for a change of clothes and some dinner. The tide was due back in for sunset and we headed back for Point Wolfe to see what high tide looked like. The point that I’m looking at in the picture below is basically the point where the water is at low tide. The volume and speed of the incoming tide is quite something. It’s definitely worth catching if the timing is right during your trip. Self-portrait at Point Wolfe beach during high tide. 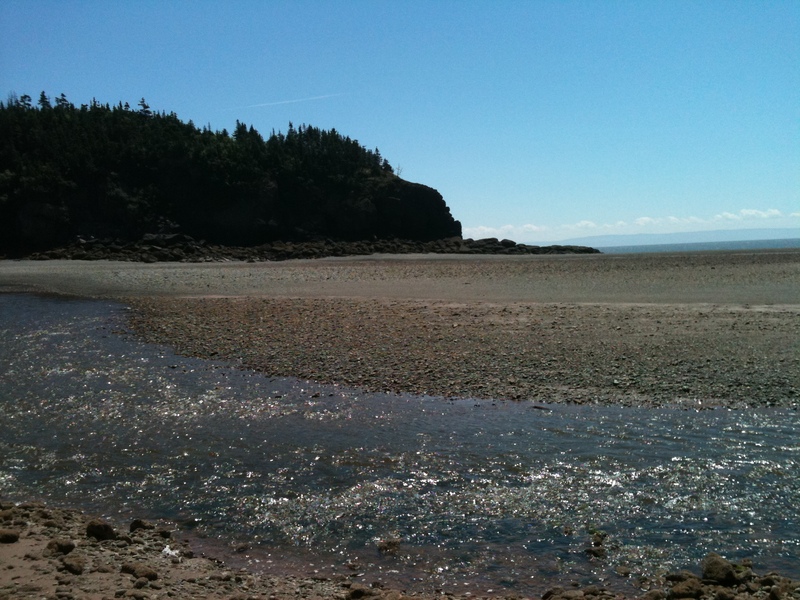 The Bay of Fundy as seen at the main parking lot after the entry point near the town of Alma. 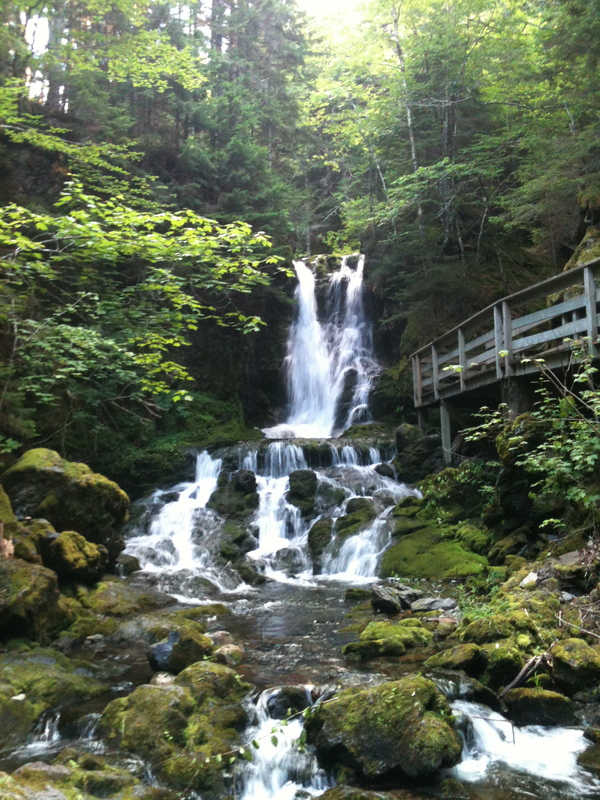 Another side trip worth taking is the short loop to Dickson Falls. 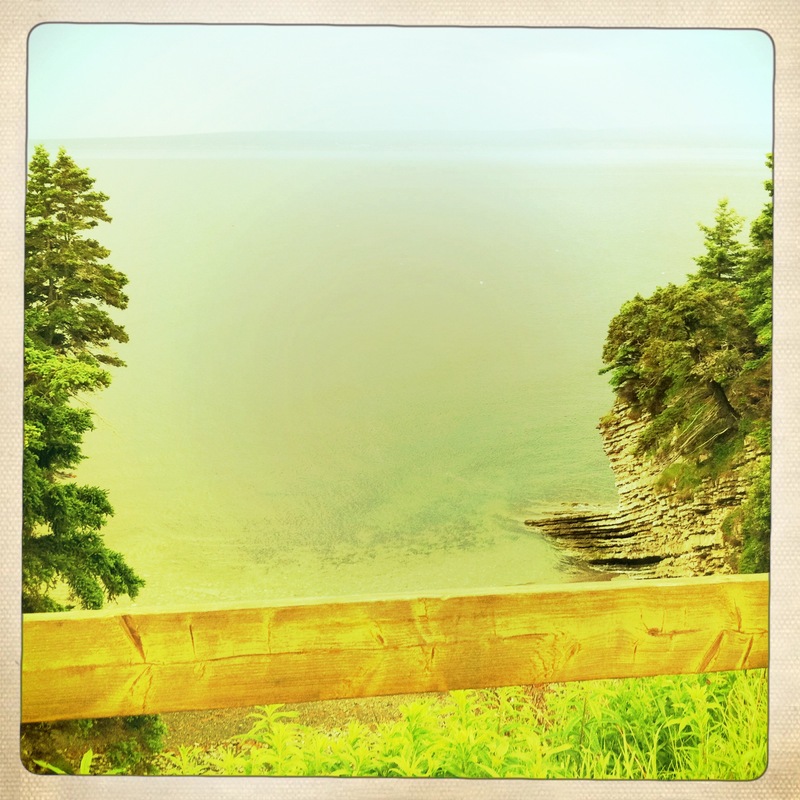 At the trail head, there is a great lookout towards the Bay of Fundy. Also, you’ll find an interpretive sign that reminds hikers to take note of the climate change at the very bottom of the loop. It’s noticeably cooler due to the surroundings. This is a nice 20-minute hike. Short and very sweet. 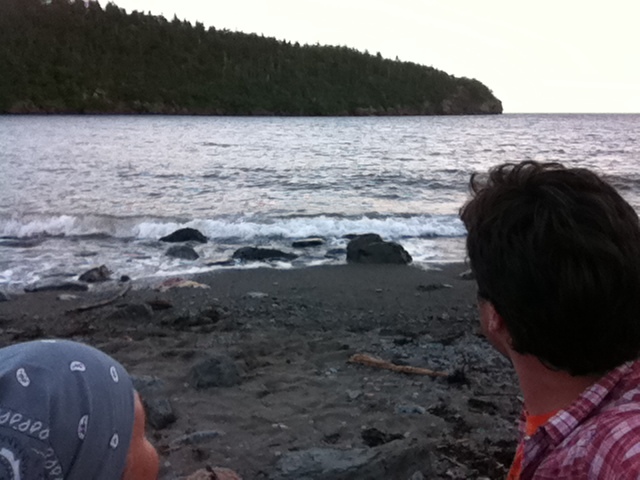 As the sun went down on our final day of our Gaspé to New Brunswick adventure, we opened a bottle of wine and celebrated with a fire under a clear sky that was full of stars. If you’ve never experienced a starry sky by a Maritime ocean: put it on your list! Nice and dry, we crawled into our tent with the rain fly off and fell asleep with a view of the stars. Early the next morning, we woke to… rain pelting us in the face. We jumped out of bed and broke camp with record speed. We ended our trip by, once again, throwing our wet gear into the back of the car. Luckily, our destination was Fredericton, only a 2 hour drive away (taking the scenic route, of course). The clouds broke and we were drying our gear out on our friend’s lawn in the early afternoon, already recounting stories of the fantastic week that we had just experienced. 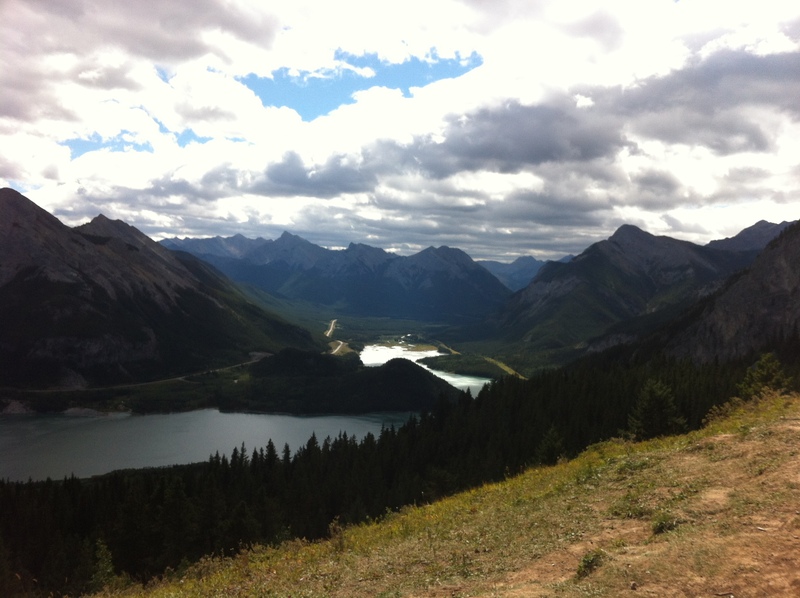 I was overwhelmed by the sheer amount of trails that there are to choose from. 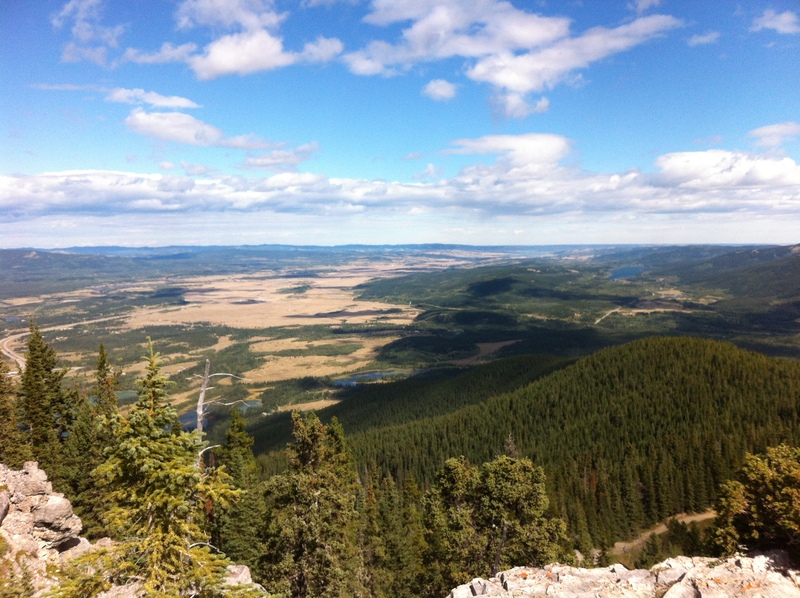 My hiking partner and I decided to just get ourselves into K-Country and ask for trail suggestions at the Info Centre. 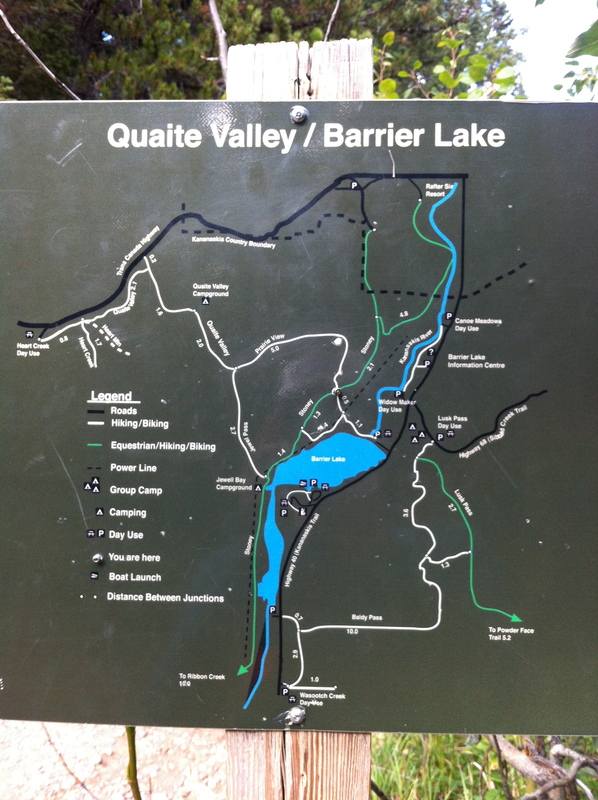 The Info Centre at Barrier Lake is just a few short kilometres south of the TransCanada highway, on Hwy. 40. I had read previously that the folks there are super helpful and friendly and that info was bang on. It’s nice to encounter park staff who are avid hikers themselves. 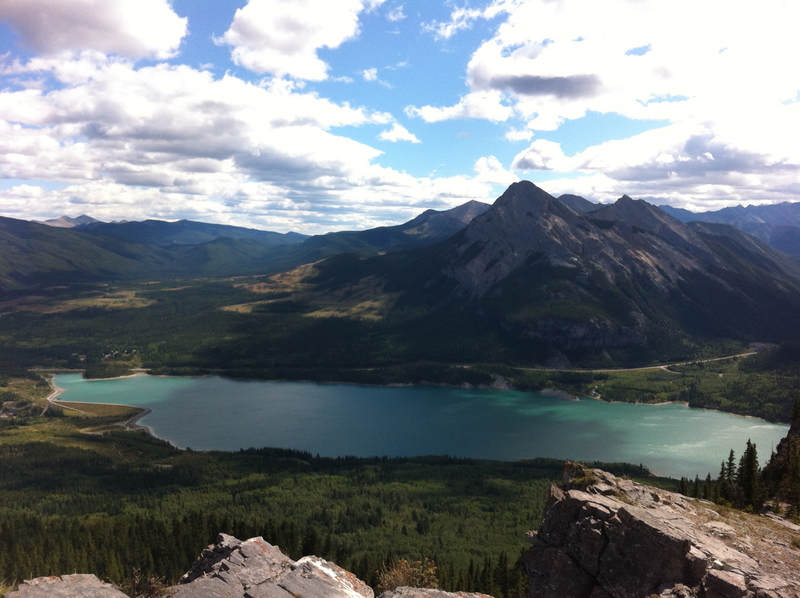 We asked Bob if he could recommend a good 3-4 hour hike with a lookout or two. He immediately pointed us towards the Prairie View Trail at Barrier Lake and described to a tee, what we would be looking for along the way. The signage is clear and the trail is wide and well traveled. Wondering whether we should carry bear spray or not, Bob explained that, while its a personal choice, this was the time of year that the bears were focused on packing in as much food as they could before winter. Therefore, they were out looking for food. He also admitted to carrying bear spray with him on every hike. That was good enough for me, and I was happy to buy a canister. $45 and it fits on your belt. Of course, we didn’t see a bear as the trail was really busy. It was Labour Day and we expected to see a lot of traffic. Either way, I’m planning for multiple hikes in the Rockies and I’m always happy to have an extra can of spray to offer a fellow hiker. In Ontario, I find having a can of bear spray or a bear bell jangling can get you some sideways looks by fellow campers. We have primarily Black bears to deal with and they aren’t Grizzlies. That said, more deaths have occurred with black rather than grizzly, but really, who’s keeping score? I hope to discard a full can of bear spray when its expired, untouched. As for the bear bell, I keep that going mostly to let fellow campers that someone is nearby. Some of the thunderboxes in Algonquin are pretty close to the trail, if you know what I mean. The trailhead, crossing the dam. 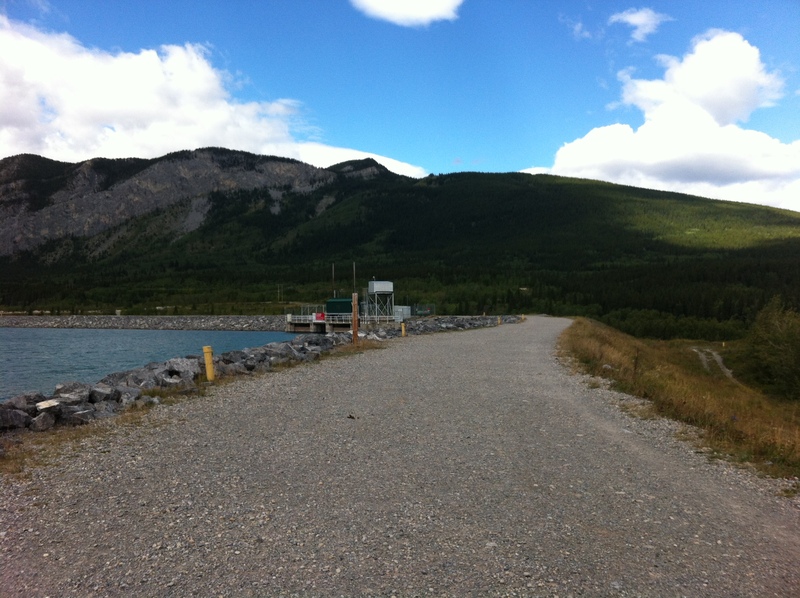 The parking lot at Barrier Lake is 2 km south of the Info Centre. The trailhead is at the parking lot, beginning with crossing the dam. Once over and into the trees, you stick to the right and follow the signs. It’s not a terribly long hike, about 6 kms up to the first peak, and you can take another 700m trail up to a second peak that gives you a full panoramic view. 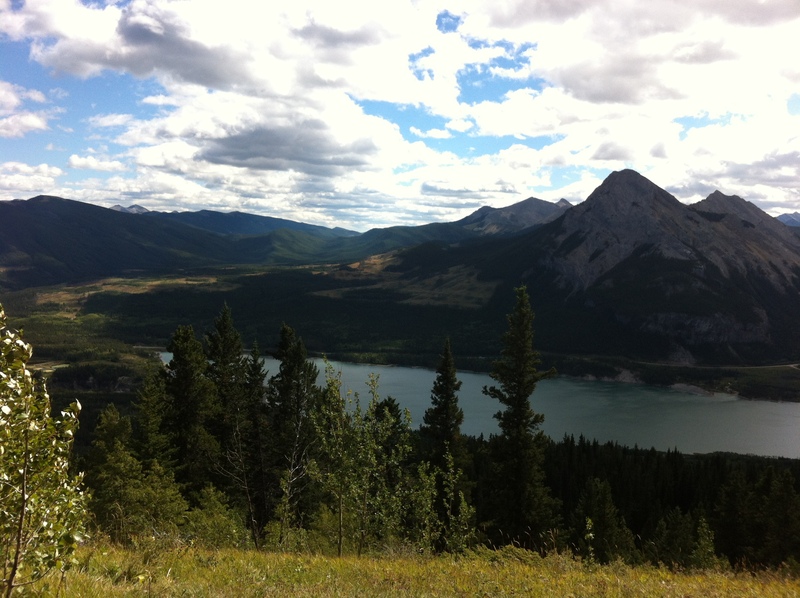 As it turned out, we only hiked to the first peak and were very satisfied with the 3/4 view of our surroundings. 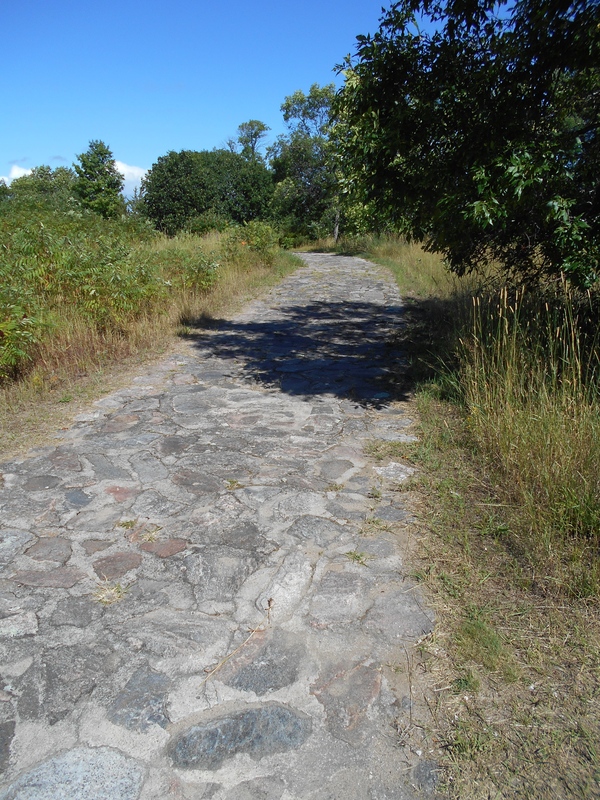 The start of the trail is very well maintained and relatively flat. Wide enough to accommodate the heavy traffic in both directions. About 500m or so, before the first peak, the wide trail ends and confused us for a moment as we thought we had reached the end. The lookout was impressive. Soon though, we saw a group of people above us at the actual peak. The last bit of trail up to the peak is quite steep, making me wish that I had brought two poles for each of us. As it was, we got by with one each. We watched several people face the challenge of coming downhill without the assistance of poles. I’ve said it before in this blog and I’ll say it again: I admire the strength of those who hike without poles, but my knees can’t take it otherwise. We were plenty happy to have the assistance of our poles on the way back down. 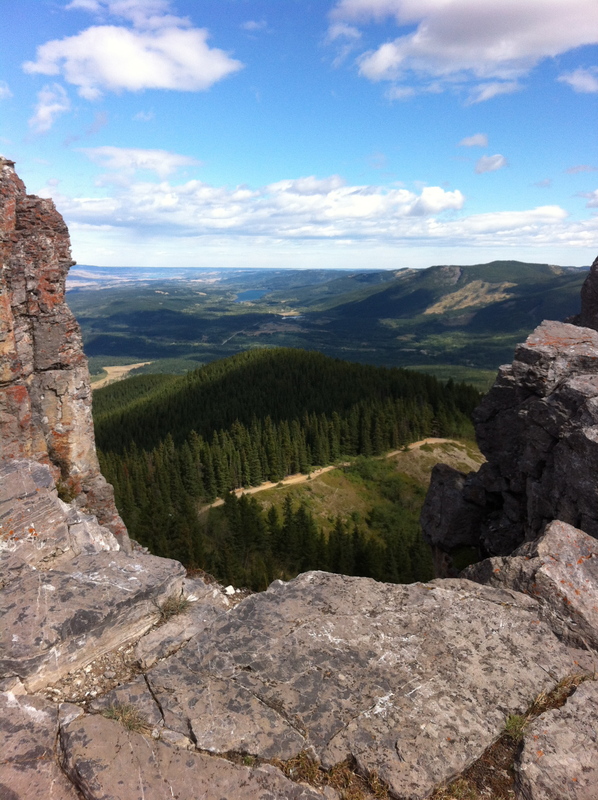 The “Prairie View” from the 1st peak. view of the mountain valley looking west from the 1st peak. another view from the 1st peak. I don’t know what compelled me not to pack my hiking shoes for my trip out West. It was a poor choice for me to go at it in my Blundtstones as the insoles (albeit well worn already) got shredded on the descent. At least it wasn’t a long and arduous hike. All in all, it took us about 3 1/2 hours to climb up and back down. 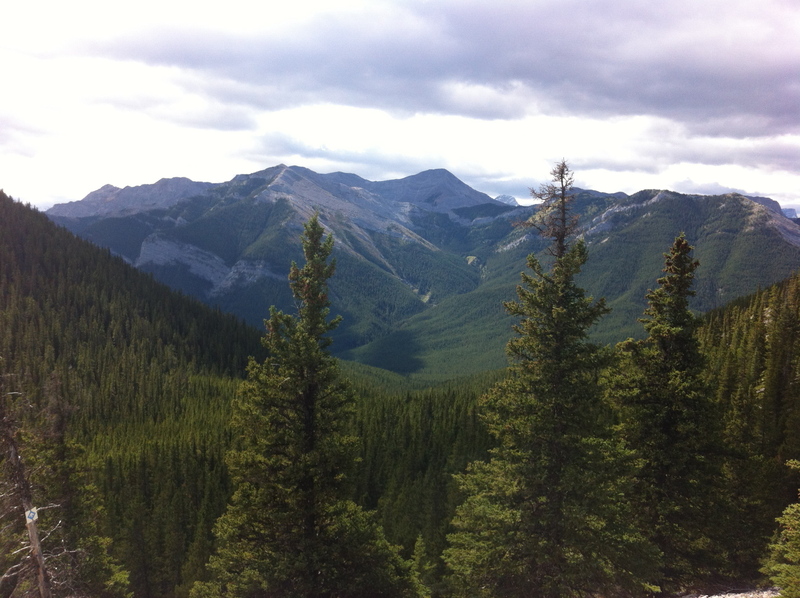 I’m looking forward to more hiking in the Rockies. I can see what all the fuss is about. Back at Barrier Lake at the end of the hike. 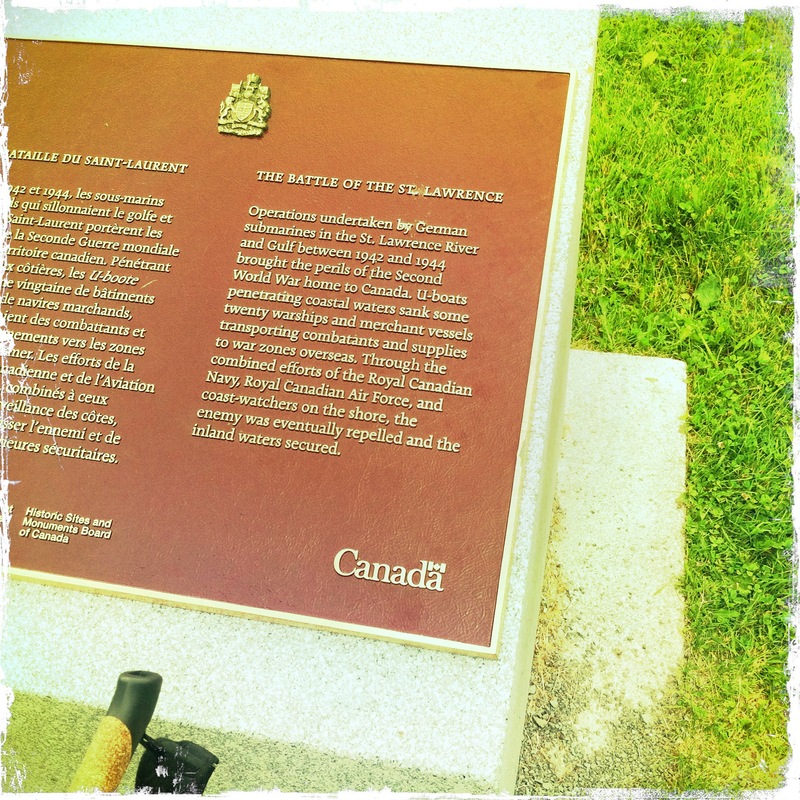 Battle of the St. Lawrence, memorial plaque. 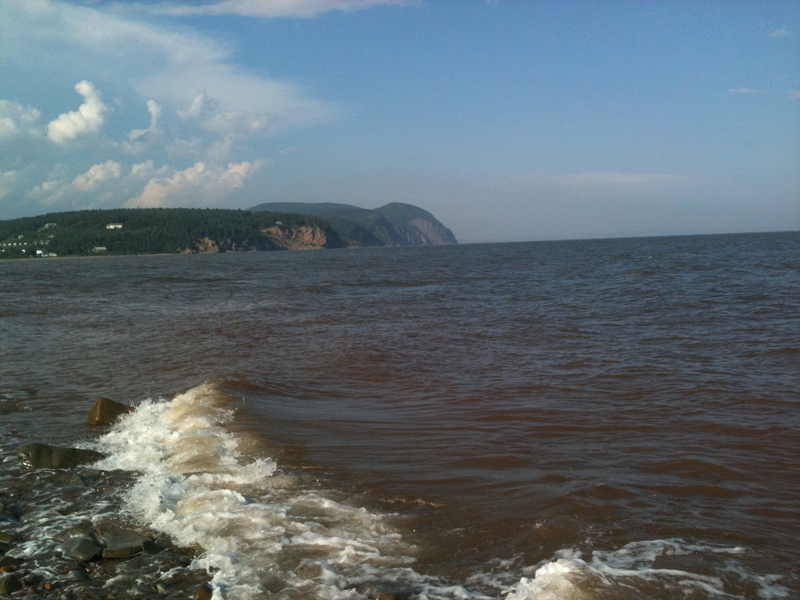 I find Forillon National Park to be exceptional. It is well maintained and though relatively small, it has a lot to offer. Seeing as we only had the day (and one more night), we chose to hike the trail to the tip of the park. 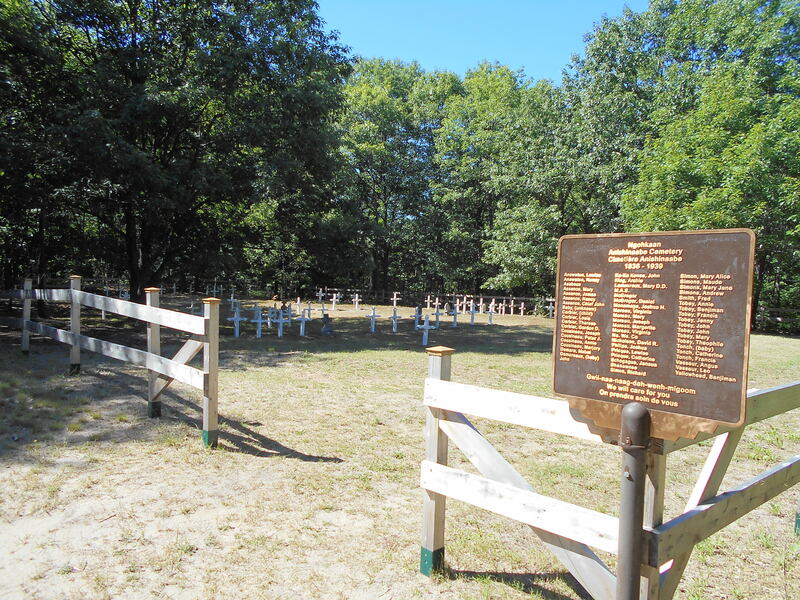 The trailhead is at the parking lot at the end of the road, past the campgrounds. You really can’t miss it. 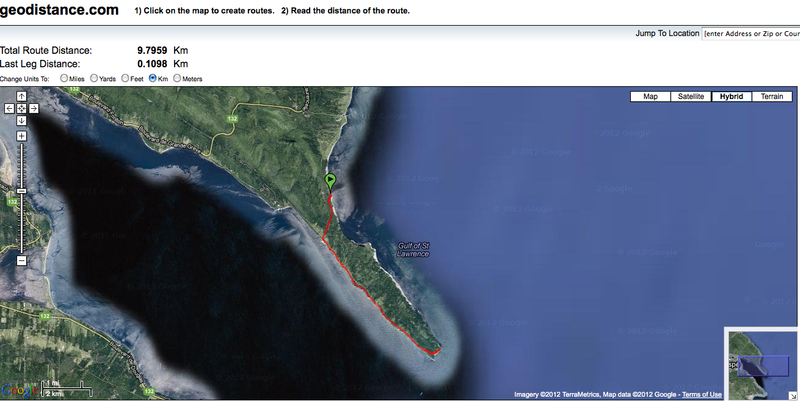 It’s a little over 9 km from the trailhead to the tip. 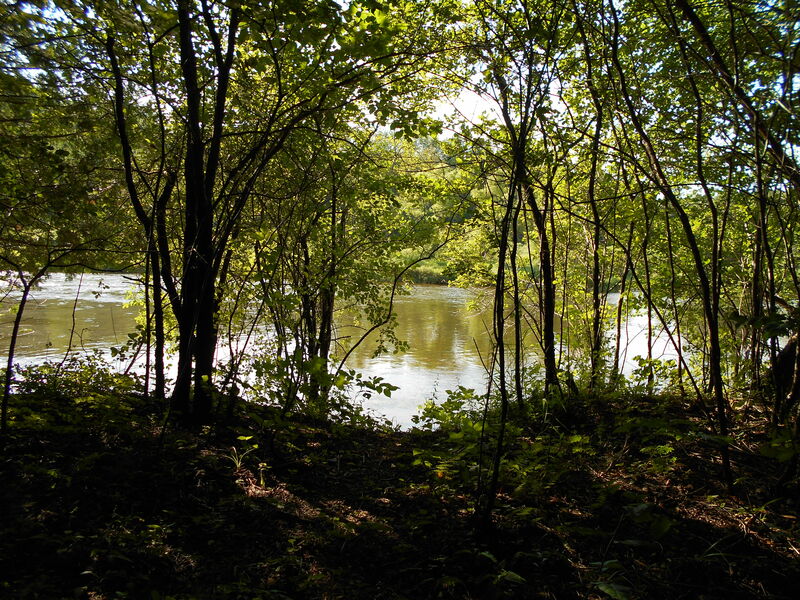 Once you pass through Grande-Grave, you can follow the footpath that takes you closer to the water than if you were to merely walk along the road. We had plenty of whale sightings from the footpath, though, they don’t show up in any pictures. It was an overcast day, which made it pleasant for a long walk but, like any good Maritime day, it threatened to rain most of the way. The rain held out for our visit to the tip, where we rested for a few minutes and had a snack. It’s an impressive view and worth the effort. 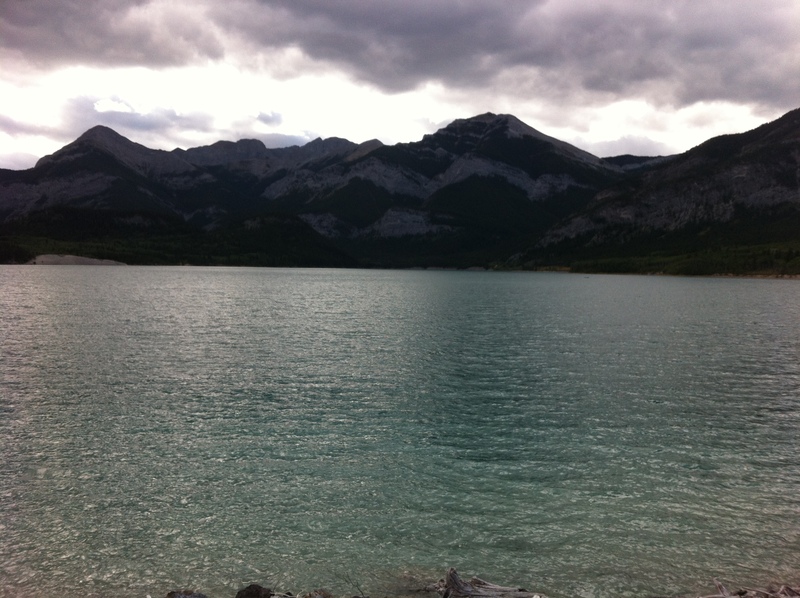 It is possible to take an easier route that can be done by driving to Grande-Grave and through to the parking lot at the very tip of the park, skipping the hike from the campground side of the park altogether. About ten minutes into our return trip, the rain started. It started out fairly gently, and quickly opened into a steady downpour. We were lucky enough to catch a ride with a sympathetic solo photographer who was camping nearby us. I’m happy to be ending this part of our blog by not having to recount a harrowing journey in the rain and dark, full of misery and blisters. We spent our second and final night in Forillon playing cribbage by candlelight, sharing the communal building by our site with a young family, waiting out the rain together. Luckily, it didn’t pour all night, but it stayed wet. The next morning, we woke up and threw all of our wet gear, loose, in the back of our Honda Element. We’d dry it out in Kouchibouguac. 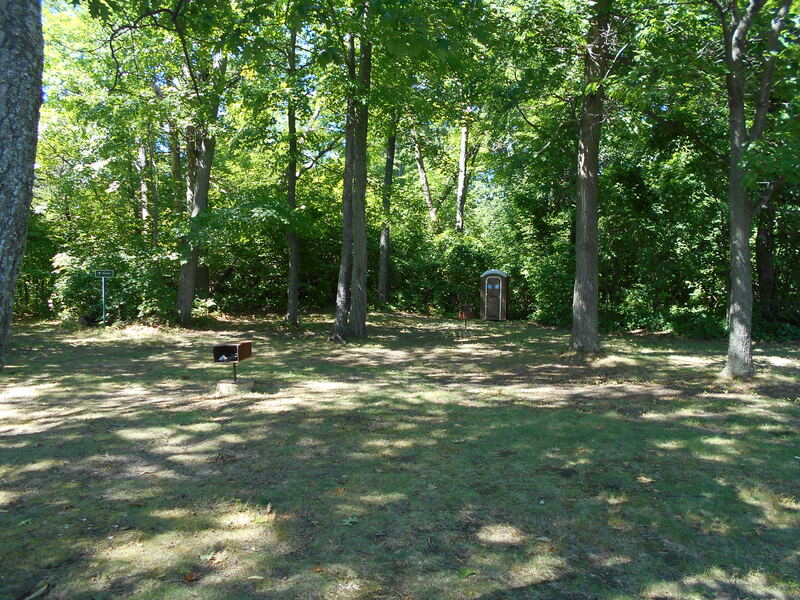 – well maintained tent sites with more privacy than any park that I’ve experienced yet. The facilities are very well maintained. – the viewpoints and sites are all worth visiting. – nothing, it was all good!